BEND, OR -- U.S. 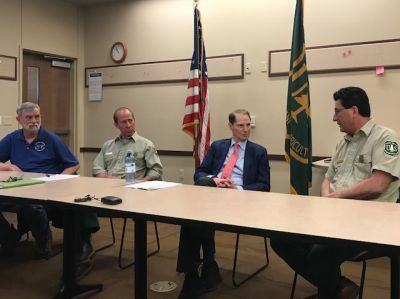 Senator Ron Wyden (D-OR) met Friday with representatives from the Deschutes and Ochoco National Forests and Prineville Bureau of Land Management, to discuss the upcoming wildfire season. John Allen, the Forest Supervisor for the Deschutes National Forest (pictured: far right), told Wyden last year’s large snowpack followed by an extremely dry spring led to a tough fire season. But, this year doesn’t look as bad. 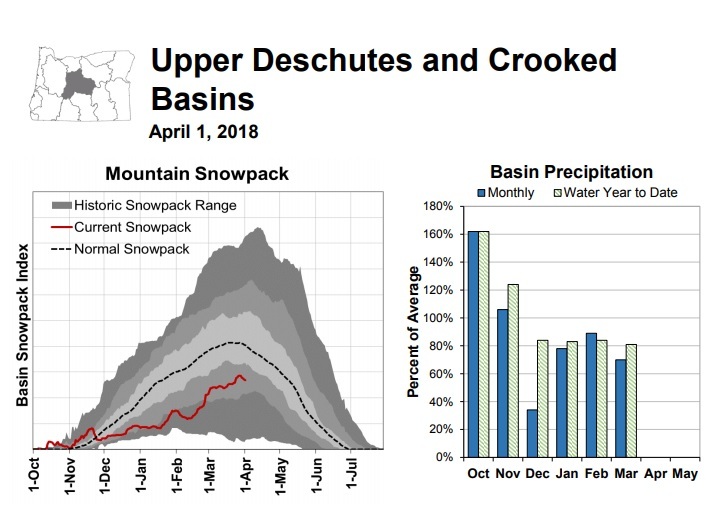 "We’ve had a below-average snowpack, this year; spring’s been kind of so-so. But, really, what happens in May-June, as far as our rain and precipitation, and then of course how much lightning we get, is going to dictate where our fire season goes. But, right now, at best, I’m hearing ‘average'." However, he admits predicting fire season is not easy, "If we have a similar dry spring, we could be looking at a very, very intense fire season, for sure. But, then a lot of it depends on where the lightning is and how much we get. But, I think our landscapes – at least, just speaking for the Deschutes – we’re getting in better shape in terms of fuels reductions and our restoration on the landscape." He says recent prescribed burns will help. An average wildfire season in Central Oregon has around 400 fires across 60,000 acres. Last year’s fire count was lower but far more acres burned. Senator Wyden asked if wildfires are getting bigger and hotter. Fire Staff Officer Alex Robertson said, yes. "My experience is, is that the job is getting harder. We’re getting stretched out, the seasons are longer, we’re moving our stuff around more to other areas, year-round." BEND, OR -- a new solar farm will soon be producing power just east of Bend, off Hamby Road. Nathan Buehler, with Business Oregon, tells KBND News, "Bear Creek is expected to come online at the end of May and it's a 10 megawatt project - at least that's what it's slated for in our documents. Once they get it under operation, they'll be feeding that back to the grid." 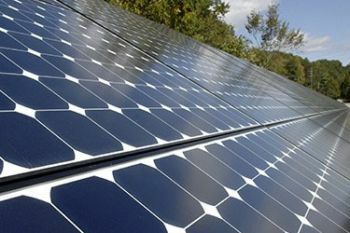 Business Oregon will provide Bear Creek Solar with an incentive, as part of a state partnership to encourage the creation of renewable energy. "We have a total capacity of about 150 megawatts, and we have about 50 megawatts of projects there in Central Oregon, across Deschutes, Jefferson, and Crook Counties," says Buehler. "We have three projects, in total, enrolled in the program." The incentive program is only available for solar farms that produce 10 megawatts are less. "It provides half a cent, basically, for every kilowatt generated. It doesn't sound like much, but it adds up." In addition to the Business Oregon incentive payment, the facility will also sell the power it generates back to the grid, through Pacific Power. 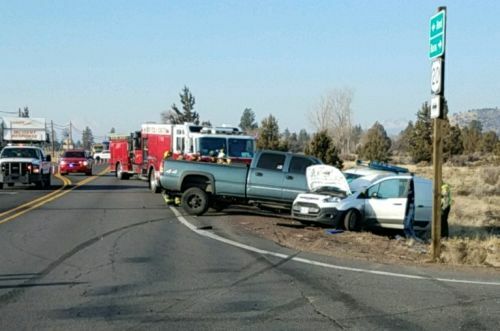 REDMOND, OR -- A 77-year-old Bend man was critically injured in a crash just west of Redmond, Friday afternoon. According to police, Michael Henderson was eastbound on Highland Avenue just before 2 p.m. when, for an unknown reason, he crossed into oncoming traffic near SW 31st Ave. His compact car hit the rear axle of a tractor-trailer. 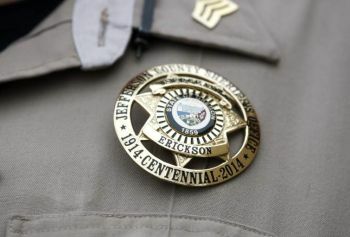 Henderson was found unconscious with ineffective breathing, and received immediate medical care from witnesses and officers until medics arrived. He was later flown to St. Charles Bend. The driver of the semi was not hurt. 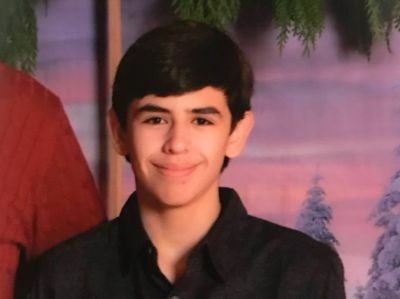 UPDATE (May 21, 2018) -- Redmond Police say Michael Henderson passed away at the hospital on May 18, as a result of the injuries he sustained in the April 27 crash. Investigators have not determined why Henderson crossed into oncoming traffic, but do not believe alcohol, drugs or distracted driving led to the crash. Because they believe no crime was committed, RPD does not plan to release any further information. 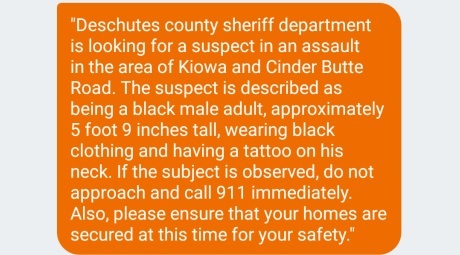 BEND, OR -- Residents in Deschutes River Woods were put on high alert early Friday morning, as the Sheriff's Office searched for an assault suspect. Deputies responded to Kiowa Road at about 1:11 a.m. after a 39-year-old woman told 911 dispatchers she and possibly another person had been stabbed. The suspect, 43-year-old Marcus Steel of Bend, was the woman's ex-boyfriend. The victim reported he'd left on foot after the assault. Multiple agencies helped set up a perimeter and the Emergency Phone Network sent an emergency call to neighbors to notify them of the police activity. Investigators say Steel went to the home on Kiowa Road to talk to the woman but a fight quickly ensued, and the woman and a 22-year-old man were stabbed. Both were taken to the hospital with serious injuries. Steel was caught at about 5:30 a.m. The Sheriff's Office says he was found in a nearby backyard and held by the homeowner and two dogs until deputies arrived. Steel was taken to the hospital with serious injuries. Investigators believe he was hurt after the assault, but before entering the nearby residential backyard. As of Friday afternoon, he remains at the hospital, in the custody of deputies. 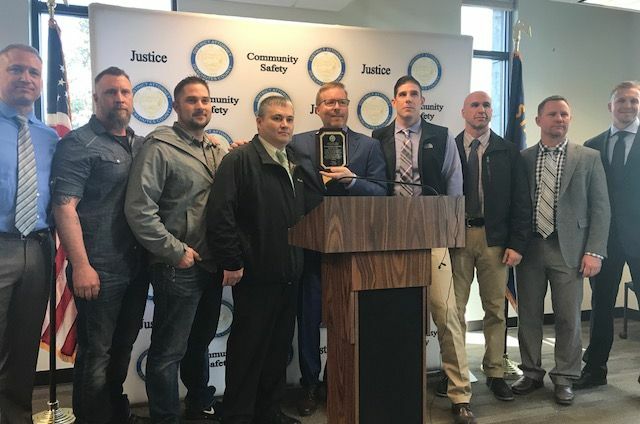 BEND, OR -- The Deschutes County District Attorney says he is reviewing the investigation into Oregon State Police Captain Bill Fugate, to determine whether crimes were committed. 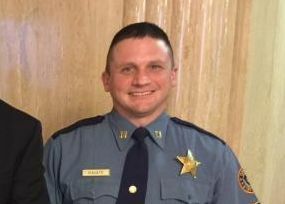 Fugate was placed on paid administrative leave in March, when the Deschutes County Sheriff's Office launched an investigation into alleged conduct by the Captain. Friday, D.A. John Hummel issued a statement saying he is looking over the evidence and will announce findings at a later date, "I appreciate the time and effort Sheriff Nelson devoted to this investigation. The public deserves to know that no person is above the law, including senior members of law enforcement agencies," Hummel said in a written statement, "At the same time, members of law enforcement enjoy the same presumption of innocence as everyone else. My team and I will give this case the attention it deserves and make the decision that is warranted based on the evidence and the law." Fugate has worked for OSP 11 years and served as the agency's senior Public Information Officer (PIO) from 2015 until he was placed on leave. BEND, OR -- The murder of Kaylee Sawyer captured the attention of Central Oregonians and Friday night, her story will be shared with the world. 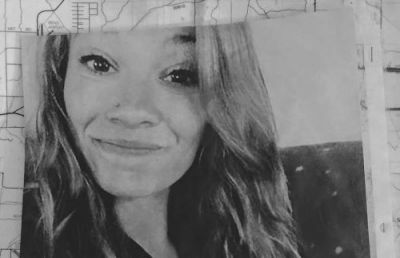 Sawyer’s July 2016 murder near Central Oregon Community College in Bend is the focus of Friday's Dateline episode, "Into The Night." Click HERE to watch a preview. Juli VanCleave says deciding to open up and be vulnerable about her daughter was difficult. But, she chose to work with Dateline NBC after meeting producers and realizing they would honor Sawyer’s legacy, "I want people to remember Kaylee. I don't want people to remember Kaylee as 'Kaylee Sawyer: the murder victim.' It was really important for me to keep her name out there in the community." 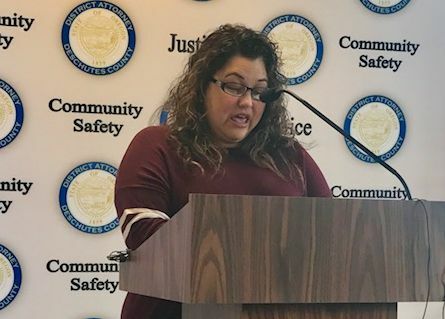 And, she says, she wanted to honor the community's support since her daughter's death, "The community rallied around us from the moment I posted that she was missing. And, it was important for us to thank the community and let people know, even though this horrible thing happened in Bend, that Bend is still an amazing town full of amazing people." She tells KBND News she also hopes the primetime exposure rights a wrong made nearly two years ago, regarding Sawyer's boyfriend. Some thought he was involved in her disappearance, "In the beginning, you know, there was a lot of misinformation that had gone out – that Kaylee took off after this big fight with Cam. I think it’s hurtful that that is always kind of the lead-in to what happened. And, I saw my daughter so very happy; and I saw an amazing young man who loved my daughter. And there wasn’t a single time that us, the family, ever questioned Cam’s story." Former COCC security guard Edwin Lara pleaded guilty to Aggravated Murder, in January, and is now serving a life sentence. Prosecutors say he killed Sawyer on July 24, 2016 after abducting the 23-year-old woman while on patrol near the Bend campus. VanCleave says she’s proud of how the show turned out. 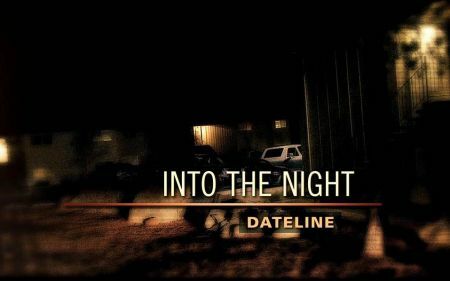 Dateline: “Into the Night” airs Friday at 9 p.m., on NBC. 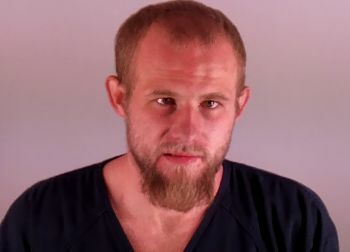 BEND, OR -- Luke Anton Wirkkala's 2014 murder conviction was recently overturned, but the District Attorney is preparing to re-try the Bend man. Wirkkala admits he shot David Ryder in February 2013, claiming he pulled the trigger in self defense when Ryder sexually assaulted him. During the June 2014 trial, Wirkkala admitted the two men attended a Super Bowl party at his southeast Bend home. There was an altercation and Wirkkala shot Ryder in the neck at close range with a 12-gauge shotgun. Deschutes County D. A. John Hummel says much of the case is already proven; the only thing left to determine is motive, "They both were drinking heavily, there was a dispute. Luke Wirkkala shot the victim; killed him. That's not in dispute, everyone agrees to that. Wirkkala claims he was acting in self defense, while we disagree with him - the state disagrees with him." 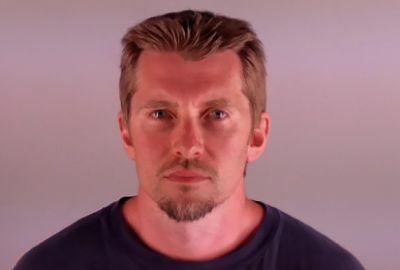 Hummel wasn't involved in the original trial, but he agrees with the state's position, "Wirkkala, at the first trial, claimed that he was sexually assaulted. And the state, we didn't agree with that assertion. We said it was consensual." The appeal was granted because after Wirkkala's arrest, officers allegedly continued to question the suspect, despite his request for a lawyer, and then pursued evidence uncovered during that interview. BEND, OR -- The Deschutes County Sheriff’s Office hopes a new daily effort on social media will help prevent crime. Sgt. 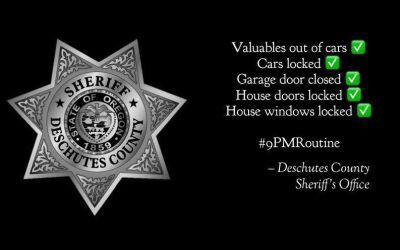 William Bailey says the #9PMRoutine posts on Facebook and Twitter are part of a national campaign, "Encouraging citizens to, ‘hey; did you lock your cars, did you remove valuables, is your garage door closed, is your house locked up and secure?’ And, we’ve had feedback from the citizens that they saw the reminder and said, ‘oh, dang! I did forget to lock the car'." Sgt. Bailey tells KBND News, "There’s really no way to quantify how successful it is, because crime prevention is difficult to get numbers on. But, if it helps one person - if it prevents one person from becoming a victim, then all the better and it’s worth the effort." He says it's important to be pro-active because what starts as a simple car prowl case can have far-reaching impacts for the victim, "We find that most thefts from vehicles during the nighttime is unlocked vehicles. Recently, we’ve had a string of thefts from vehicles that were locked but valuable were left in them while at trailheads. The crime doesn’t end at breaking through the window and taking the property. Then we’re dealing with fraudulent use of a credit card, checks." REDMOND, OR -- A U-Haul collided with a small child in Redmond, Thursday afternoon. The victim was taken to the hospital with non-life threatening injuries. The crash occurred on Southwest 27th and Reindeer Avenue, just before 4 p.m. Redmond Police have released few details, but say the investigation is ongoing. 11:45 a.m. UPDATE: Redmond Police say the victim received "very minor to no injuries" but was transported by medics as a precaution. No citations will be issued in the case; witnesses report the child "darted out into traffic" on SW 27th. They also say the U-Haul was traveling at or below 25 miles per hour. 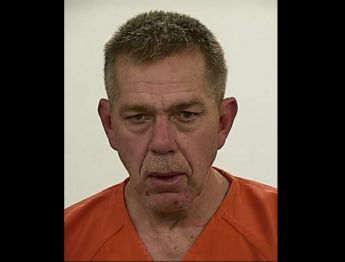 BEND, OR -- A wanted man allegedly ran from a Bend traffic stop, Thursday night, but was caught a short time later. According to Bend Police, an officer pulled over 36-year-old Ryan Jones at about 9:20 p.m., near NW Revere and Wall Street. After contacting the driver, the officer returned to his patrol car and learned Jones had a warrant for his arrest. At that point, the officer says, Jones started to walk away from the scene. When Jones was advised that he was under arrest, officials say Jones started to run. After a short foot chase, the suspect was taken into custody in the courtyard of Wall Street Suites. During his arrest, Jones allegedly resisted arrest and assaulted two officers. 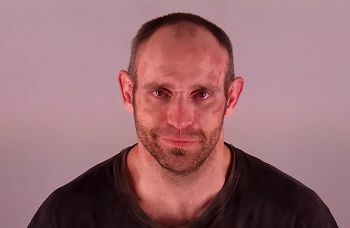 He's now charged with Reckless Driving, DUII, Interfering with a Police Officer, Escape II, Resisting Arrest, Assault of a Public Safety Officer and two Deschutes County warrants. 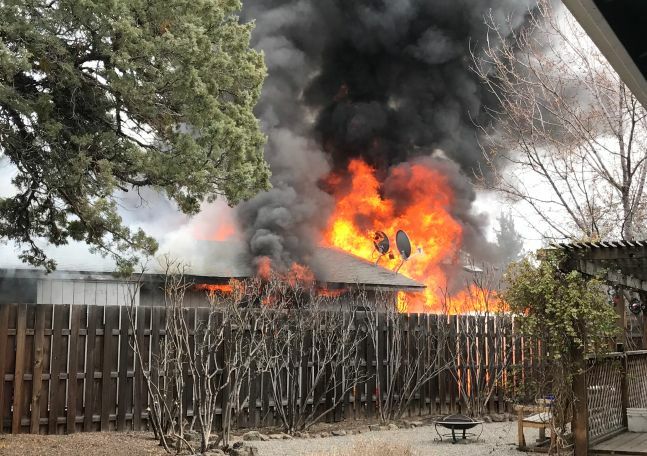 BEND, OR -- A northwest Bend four-plex was damaged by fire, Thursday. Its cause remains under investigation. 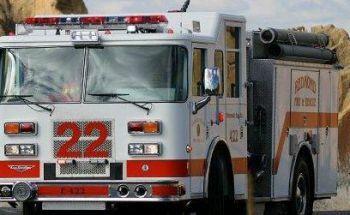 When firefighters responded to Milwaukee and Knoxville just after 10:15 a.m., they found smoke coming from the second floor balcony door. Crews quickly extinguished the blaze before it could spread beyond the bedroom. The occupant of that unit was not home at the time, but smoke alarms alerted others, who called 911. Damage is estimated at about $60,000. 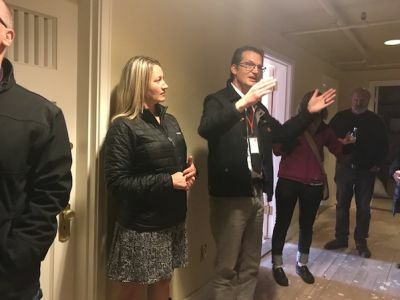 BEND, OR -- Shepherd's House Ministries, in the historic Shaniko Woolen Mill on Division in Bend, is upgrading its clothing distribution and laundry processing service. For the last 10 years, the distribution center has been in need of repair. So, in the last three weeks, the homeless outreach removed walls, fixed wiring and painted, creating an expanded clothing and laundry area. During the process, distribution and laundry services were closed, but Shepherd's House officials expect it to be fully open and functional by Monday. 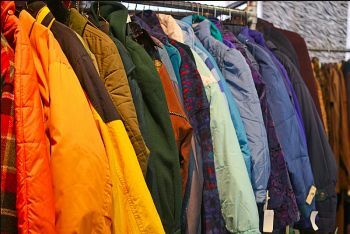 The shelter, which is open for laundry processing, showers, and clothing distribution from 2 to 4 p.m. Mondays, Wednesdays and Fridays, says this is a major aspect of their ministry. Changes were made possible through community support. SISTERS, OR -- Fuels specialists with the Sisters Ranger District plan to ignite a prescribed burn Thursday, across a 180-acre project area south of Sisters, adjacent to Three Creek Lake Road. Also, Thursday, firefighters on the Crescent Ranger District will continue burning three units 10 miles south of Crescent. Officials with the Deschutes National Forest say the public, once again, will see smoke from the operations, and residents should close their windows at night. Wednesday, fire managers completed ignitions at Shevlin Park (pictured), which sent a large smoke plume over Bend's west side. BEND, OR -- The Reed Market Road and 15th Street roundabout will undergo a transformation Friday. 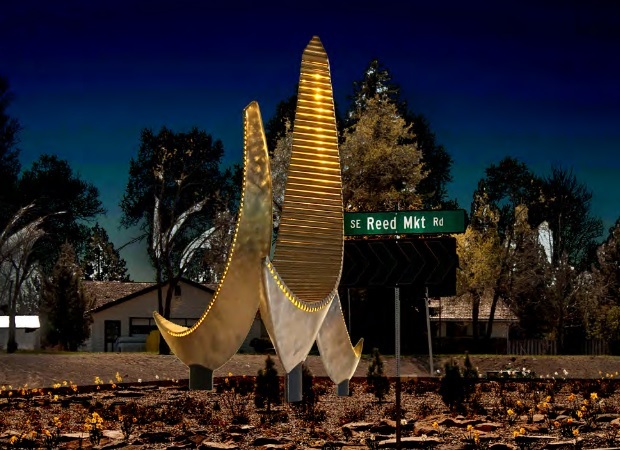 The southeast Bend intersection is finally getting its art installation. "Three Rising" was created by Seattle-bases sculptor Ulrich Pakker. Pakker says he's been interested in having his work showcased in Central Oregon for a long time, "For every roundabout, there is a contest, where there is a call for art, or artists, and you throw your hat in the ring and hope to make the final cut." He tells KBND News, "That is my first one in Central Oregon. Not that I haven't been in the running for others, but being in the running and actually getting it are two different things. I've been a finalist for a roundabout there more than 10 years ago. It took 10 years to turn it into a reality." When he contemplated what kind of piece to present to the Roundabout Art Panel, he says the grouping of three crescent-shaped structures seemed especially fitting, "Each of these pieces, being made of stainless steel and internally lit, from a distance, with the lighting, they have a certain slope, a'la the slopes on a mountain, such as a volcano; and since your region is so saturated with volcanoes, it seemed like a natural." Friday's installation ceremony begins at the roundabout at 9:30 a.m.
Deschutes County Public Health says Pertussis starts as a "mild upper respiratory infection" and resembles a common cold, often with sneezing, low-grade fever and mild cough. Within two weeks, the cough becomes more severe and is characterized by "episodes of numerous rapid coughs followed by a crowing of a high-pitched whooping sound and is sometimes followed by vomiting." O'Keefe says her daughter was exhausted by the illness, "She coughed and coughed until all of the air was just expelled from her lungs, to a point where she would gag and throw up. She would get really scared; her eyes would be watering, you could tell she couldn’t breathe. The physical toll that that level of coughing takes on her body, she would just end up like a rag doll." After antibiotics, the teen is now on the mend. O’Keefe’s older daughter was also sick and may have had the virus, although the 16-year-old wasn’t tested. She regrets sending her daughter to school when she was sick, especially, O'Keefe says, if it means other kids at Elton Gregory Middle School were exposed, "It never occurred to me it would be Whooping Cough because they were vaccinated. I didn’t know that you could still catch it, even by being vaccinated." Health officials confirm the vaccine is not 100% effective, but say symptoms tend to be less severe in people who have been immunized. O'Keefe agrees, "Watching what my [daughters] went through, and they’re healthy and they’re strong and they’ve been immunized; the thought of an unvaccinated infant or toddler getting this really terrifies me because I saw what it did to my big, strong, healthy kids." Deschutes County Public Health officials urge families to make sure vaccinations are up-to-date, including the Tdap booster recommended for children at age 11. Kids should be kept home from school if they show symptoms, and officials suggest parents seek a medical evaluation by a doctor to rule out Pertussis. There have been four confirmed cases in Redmond in the past few months, with a number of other suspected cases. BEND, OR -- A Bend woman says she was groped by a stranger while running. Police responded to the Deschutes River Canyon Trail at about 9:15 p.m. Saturday. They say the 45-year-old victim was running with her dogs on the east side of the river, in the secluded area near the southern footbridge. She moved her dogs to the side to accommodate a man, but when he passed, he grabbed her waist and buttocks. She was able to get away but one of her dogs ran off during the incident. The woman was later reunited with her pet. Despite an extensive search by officers, a K9 unit and a drone, a suspect wasn’t found. Investigators say the assault occurred quickly and at dusk, so he could only be described as between 20 and 40 years old, with an average build. She thinks he was wearing dark pants and a jacket or zip-up hoody. Anyone who may have witnessed this or a similar incident on the River Trail is asked to call Bend PD through non-emergency dispatch, at 541-693-6911. This was the only report of this type of incident occurring April 21st. BEND, OR -- More sunshine is expected across the High Desert Wednesday and Thursday; with the nice weather comes the increased risk of skin damage. Amy Watson is an assistant professor at OSU-Cascades who has studied people’s behaviors in the sun. She says most people understand the danger associated with tanning beds, but they think outdoor sun exposure is healthier. 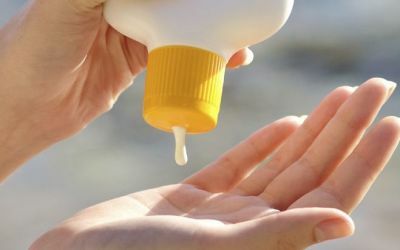 Watson tells KBND News many Central Oregonians are putting themselves at risk by going out unprotected, "We also found that people have no idea how to use sunscreen correctly. So, people are exposing themselves intentionally outside, and they’re doing so thinking, ‘Oh, well I put some sunscreen on – so, I’m going to get some sun but I’m not going to burn; it’s going to be ok’." The average person should use one ounce of sunscreen at a time, which is about the amount in a shot glass. And, Watson says, you should reapply often, "Your bottle will tell you specifically, but usually it’s 80 minutes – you’re supposed to reapply every 80 minutes. Obviously, more frequently if you’re getting in and out of the pool or in and out of the river and toweling off, or if you’re playing beach volleyball or something like that and getting really sweaty and toweling off." She says it's easy to forget that UVA and UVB rays are always a concern, even while driving. That's why people get the "farmer tan" on their left arm, from hanging it out the window on nice days. "You’re probably not putting sunscreen on to get into your car and drive. But, we see increased rates of skin cancer having to be removed on that side of the body, as opposed to the right." Watson adds, "If you are going to be outside doing outdoor activities for a prolonged amount of time, even on a cloudy day, go ahead and put it on. Just make it part of your daily routine and don’t skip it." Click HERE to listen to our full conversation with OSU Cascades Assistant Professor Amy Watson. BEND, OR -- Near-record low unemployment continues around the state and in Central Oregon. Deschutes County added 940 jobs in March, with the jobless rate holding steady at 4.2%. Crook County added 100 jobs, last month, with 6.1% unemployment. And, Jefferson County added 40 jobs, with its unemployment rate holding steady at 5.6%. 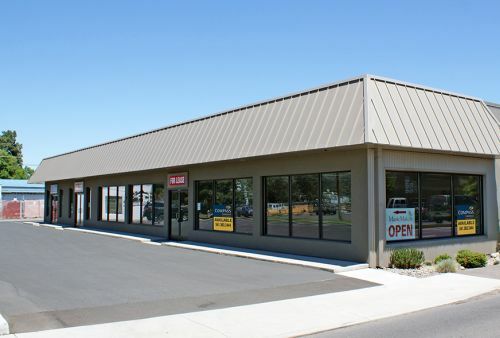 Gail Krumenauer, with the Oregon Employment Department, says things are headed in the right direction across the region, "Specifically in Deschutes County, the Bend metropolitan area, over the year growth has been about 4%, which is pretty strong. By comparison, Oregon’s growth rate over the past year has been about 2%. So, really continuing to add a lot of jobs and in March, outpaced seasonal expectations for hiring." One industry is leading the trend, "Construction is the fastest growing industry in the state and has really been leading job growth over the past couple of years," says Krumenauer. It's far outpacing overall growth, "Construction, right now, is just this superstar industry. Particularly in Bend, growth has been hovering around 4% over the year; construction growth has been 13%. There’s also been construction gains in other places – some in Jefferson County, and construction added the most jobs in Crook County in March, as well." She tells KBND News construction slowed down so much during the recession, that builders are now playing catch-up, "People kept moving here, even during the recession. Even now, we’re hitting near record in-migration rates and yet that construction has been lagging for years and years. So, it seems that we’re in this period now, when there’s just this pent up demand." 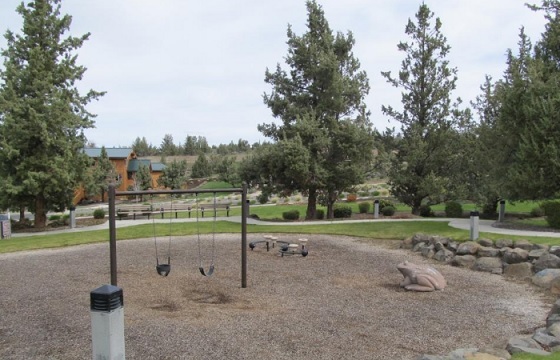 MADRAS, OR -- Madras City Councilors approved a resolution Tuesday, to move ahead with a grant request from the state to help fund a new playground at Crescent Park (pictured above), in the Yarrow Subdivision. Public Works Director Jeff Hurd says the city asked for the matching funds grant last year, but it was denied. This time, he says, they're asking for $26,000; a little less than last time. "We didn't get it last year, so it's just redoing what we were already planning to do. Somebody gave me more money, and now it's a new year and I've got to redo a new resolution, and change all the dates and do it again." He says he's happy to go through the process again because, with donations from the community in the last year, the $44,200 project should be fully funded and ready for construction once the grant is approved. Hurd says the community is extremely generous when it comes to funding parks, which means the city can keep grant requests low. He tells KBND News that Madras residents and organizations went above and beyond last year, to fund the splash pad planned for Sahalee Park. "What's really neat about this one, and what I like so much about it, is it's one of those stories about great community support. We had a ton of businesses in town who were helping to fund this thing, and then we had little fundraiser events that we had going on all last year. I mean, it just kind of blew my mind, of what a cool little town this is." Matching funds for the splash pad were approved by the state but await federal approval. Hurd hopes construction on that project will begin in Spring of 2019, and be ready just in time for summer. 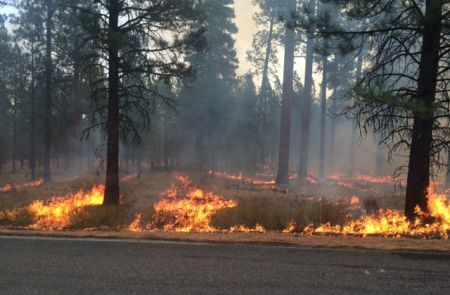 BEND, OR -- Shevlin Park will close Wednesday, to allow for a 94-acre prescribed burn. Bend's Park and Recreation says it’s part of the district’s vegetation management plan. The project will be led by the Deschutes National Forest and will occur in the recently expanded area of the park, near the Tree Farm Development, on the east side of Tumalo Creek. The operation will take one-to-two days, and signs are posted noting the closure. Park staff will also be stationed at key trailheads to alert visitors. Once the area is reopened, signs and staff will be removed. On Thursday, fire managers for the Ochoco National Forest hope to burn about 550 acres in the McKay area, 14 miles northeast of Prineville. Ignitions are expected in late morning, and smoke is expected to be most visible at that time, although it's likely to linger for several days. The Forest Service is working with the Rocky Mountain Elk Foundation to improve habitat and forage for big game and livestock, with the burn, while introducing fire back into a fire-adapted Ponderosa Pine and Fir ecosystem. 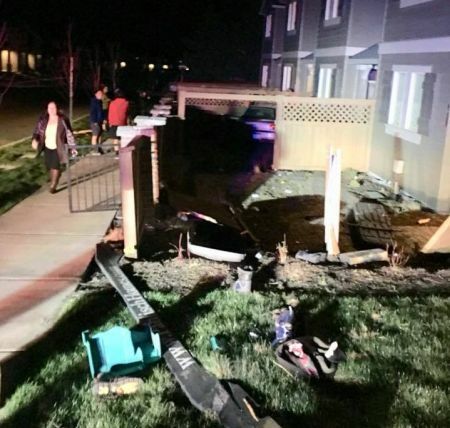 BEND, OR -- The man who allegedly ran from the scene of a crash Monday night was arrested Tuesday evening. 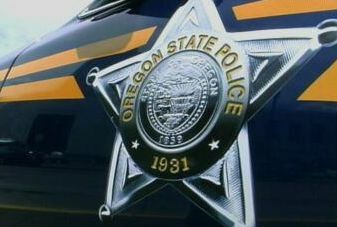 The case began at about 8:30 pm.m Monday, when the owner of a Subaru Impreza reported the car was stolen while left running in front of the Tumalo Country Store. It was soon spotted by a Deputy, near Third and Empire. The driver failed to stop when the Deputy activated the overhead lights, but the brief chase was called off for safety concerns, in a residential area. A short time later, the Deputy found the car after it crashed through several fences and nearly struck a house near Boulderfield Ave. and Black Powder Lane. Two people were seen walking from the scene and a witness confirmed they had been in the car. The Deputy ordered both to the ground but only the 28-year-old woman complied and was detained. 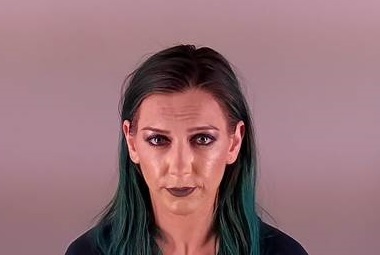 Investigators believe Ashley Bingenheimer was the driver; she's charged with Reckless Driving, Unlawful Use of a Motor Vehicle, Felony Attempt to Elude, Criminal Mischief and Possession of a Stolen Vehicle. She was taken to the hospital for non-life threatening injuries, and was cited in lieu of custody at St. Charles Bend. 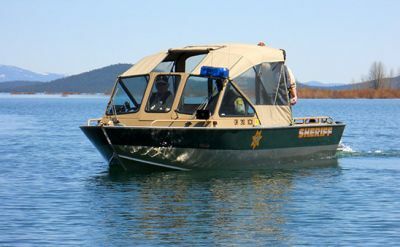 The Deschutes County Sheriff's Office spent the next day searching for the male suspect, identified as 28-year-old Christopher Aviles. He was taken into custody at a northeast Bend home, just after 5:30 p.m. Tuesday. The Sheriff's Office says the two conspired to steal the car. Aviles is charged with Possession of a Stolen Motor Vehicle and a probation violation. 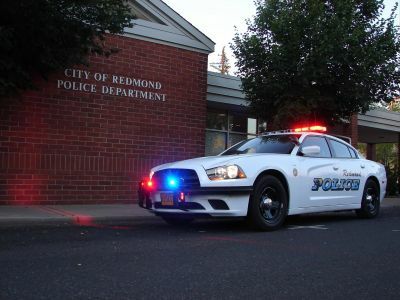 REDMOND, OR -- Redmond officials don't believe the city's budget is effectively meeting the public safety needs of a growing region, so the Budget Committee will meet twice this week to discuss the latest funding proposal. Tuesday night, they'll talk about proposed changes with the City Manager. 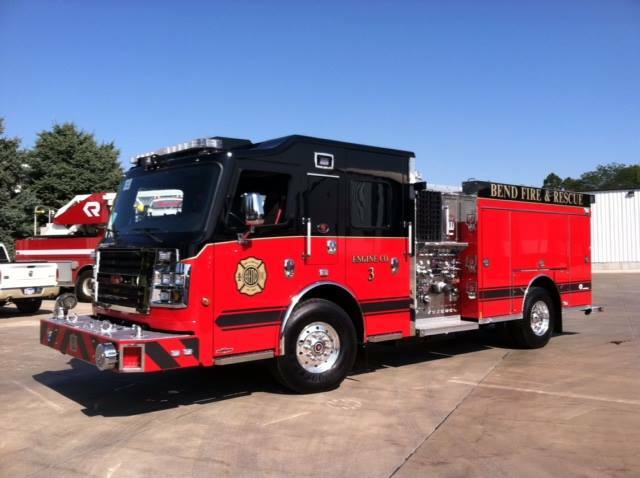 Budget Director Jason Neff says there's typically more balance in a budget when it comes to growth, but he tells KBND News, "We're more focusing this budget on public safety. So, we have three new officers proposed in the budget and one evidence officer who will help process all the evidence we have." He's says Tuesday's meeting is mostly informational. "The City Manager will give his message, kind of kick things off. He'll be talking about some of those trade-offs when adding more officers and public safety areas, we have needs. So it'll be a good discussion." Neff hopes the Budget Committee will then approve the budget at Wednesday's meeting so it can be sent to City Council for adoption prior to the July first fiscal deadline. Both meetings begin at 6 p.m. at Redmond City Hall. 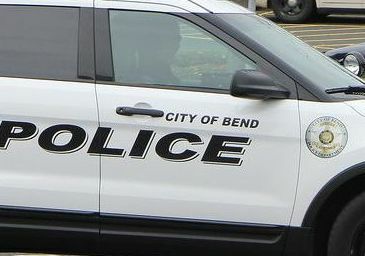 BEND, OR -- Several schools on the west side of Bend were placed in a brief lockout, while police searched for a suspicious man reported in the area. Bend Police Lt. Clint Burleigh tells KBND News Summit High, Pacific Crest Middle School and High Lakes Elementary were put in lockout for less than 20 minutes, Tuesday morning, as a precaution. He says initial reports from neighbors that a man was knocking on residential doors in a sleeping bag, prompted the incident because officers thought it might be the same person the Sheriff's Office was searching for Monday night. Lt. Burleigh says it turned out not to be the same suspect and the man in the Tuesday morning case might have been dealing with a mental health issue. 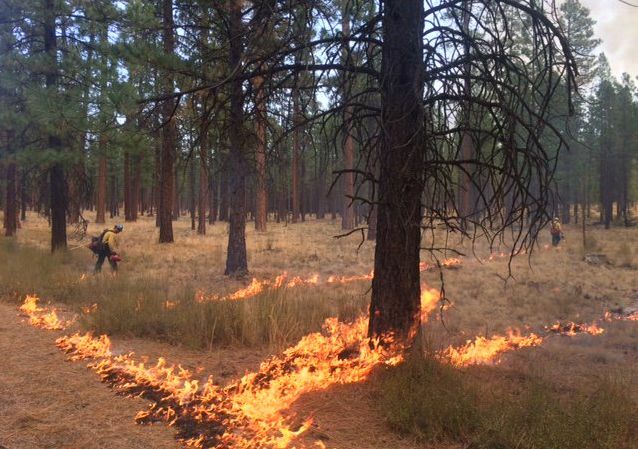 BEND, OR -- Firefighters with the Deschutes National Forest will ignite another prescribed burn, Tuesday. 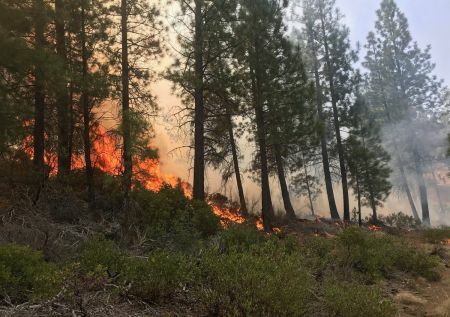 The unit is directly across Cascade Lakes Highway from the Rimrock Trailhead burn that occurred Sunday, which sent smoke pouring into Bend Monday and Tuesday morning. Fire managers will close sections of the new paved path around the under-crossing for public safety, during the operation. A prescribed burn on the Sisters Ranger District will also take place Tuesday. The two units total 229 acres, about 1.5 miles south of the Camp Sherman store and four miles north of Black Butte Ranch. No road closures are expected. On Wednesday, the Forest Service plans to conduct a burn near Shevlin Park, totaling 95 acres on Bend Parks and Recreation District property. The public is encouraged to close their windows at night, due to the smoke. The Forest Service said in a statement, "The public's health is important to the Forest Service. While significant preventative measures are taken, many factors influence a person's susceptibility to smoke, including severity and duration of smoke exposure and a person's health. If individuals feel impacted by the smoke, they should contact their doctor." 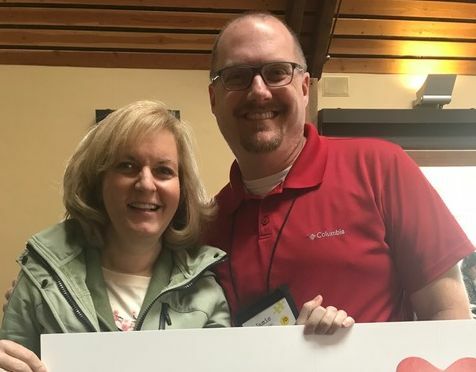 BEND, OR -- For the third straight year, a Bend-La Pine Schools nurse has been honored by the state. Margo McDonald has been named the Oregon School Nurse of the Year by the Oregon School Nurses Association. She's worked for the district for 19 years, primarily serving students at Juniper Elementary and Pilot Butte Middle School, this year. She's also worked at Buckingham Elementary for 16 years and Tamarack for 12 years. McDonald says she especially likes working with special needs kids, taking a holistic approach to each patient and considering the child's family and community as part of their treatment. She plans to leave the district May first, to take a job as a nurse educator at a military base in Italy. Previous Bend-La Pine Schools winners include Connie Hoffstetter and Laura Brown in 2016 and 2017. BEND, OR -- Deschutes County Commissioners agreed Monday to a four-way agreement to extend Quail Road in Crooked River Ranch. County Roads Director Chris Doty says it’ll take the road all the way to Lower Bridge Way. "It’s been a goal of the Ranch, and a lot of folks for a lot of years – decades, actually – to get this secondary access punched through and get a new route in and out of the development, there." At Monday's board meeting, Doty explained to Commissioners how the agreement works, "It’s a one-mile extension to Lower Bridge Road, so that will provide the secondary access. The road will be constructed by Jefferson County; they have obtained a loan from the Oregon Transportation Investment Board. That loan and its debt service will be serviced by the Crooked River Ranch Club and Maintenance association, so paying Jefferson County back for that." 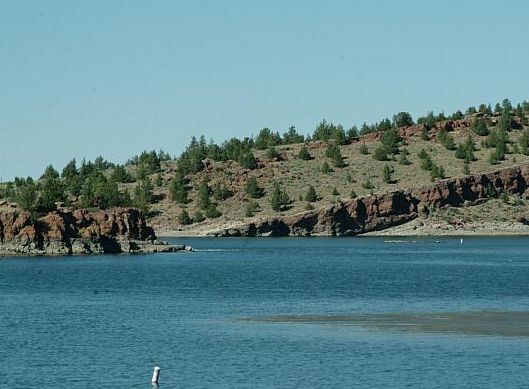 Deschutes County obtained the right-of-way from the Bureau of Land Management, for the extension, but says that's where the county's obligation ends. Crooked River Ranch Association Board President Dave Palmer says the plan has been in the works for a long time, hitting snags when the BLM refused to provide access, "This project started literally decades ago. Although we don’t have the documents anymore, the people who have been there that long will tell us they started looking at this back in the mid-1980s when the ranch was changed from just Rural Recreational to Rural Residential." He acknowledges there has been some criticism over the need to pay Jefferson County back for the work. But, he says the project is necessary, "We estimate the annual increase to be less than $20 a year; so, $1.70+ a month." Currently, he says, property owners pay $430 a year. 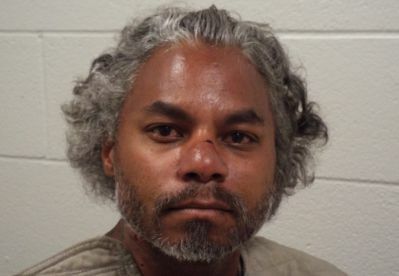 PRINEVILLE, OR -- A Prineville man faces multiple charges after a weekend home invasion. 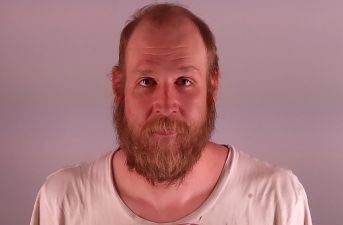 Prineville Police say 30-year-old Kevin Hurley broke into a home near Northwest Fourth Street, at about 2:30 a.m., Saturday. Marla Howard says it was her house. She recounted the ordeal at Saturday’s pro-Second Amendment rally in Redmond, telling the crowd she wished she'd had a firearm. "My dogs, who are rescue dogs, alerted me very well; I’ve never heard anything out of their mouths, the way they growled. The perpetrator broke through my front door, violently. He ran into my daughter’s room and broke her door, violently." Howard went on to describe how the man then entered her own bedroom and climbed on top of her, "I had no idea what his intentions were, I just knew that all of a sudden this tough girl wasn’t so tough, no more. I did happen to sleep with my blow dryer that evening. So, in the dark, I aimed my blow dryer at this perpetrator, who thought it was a gun." She says he then ran off, chased by her dog. Prineville Police located Hurley outside the house and handcuffed him. They say he tried to run but only took a few steps before being stopped by officers. One officer's hand was hurt during Hurley's alleged attempted escape, although it didn't require medical attention. Investigators say Hurley did not know the victim and may have been under the influence of drugs. He's charged with Burglary 1, Assaulting a Public Safety Officer, Resisting Arrest, Escape 3 and Criminal Mischief 2. 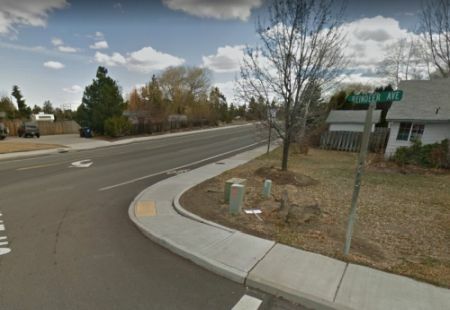 BEND, OR -- The Deschutes County Sheriff’s Office is searching for a man they say drove a stolen car through multiple northeast Bend yards, Monday night. Just after 9 p.m., Residents around NE Empire and Layton were notified by phone that that deputies were looking for a wanted man and asking them to call 911 if they saw anything suspicious. 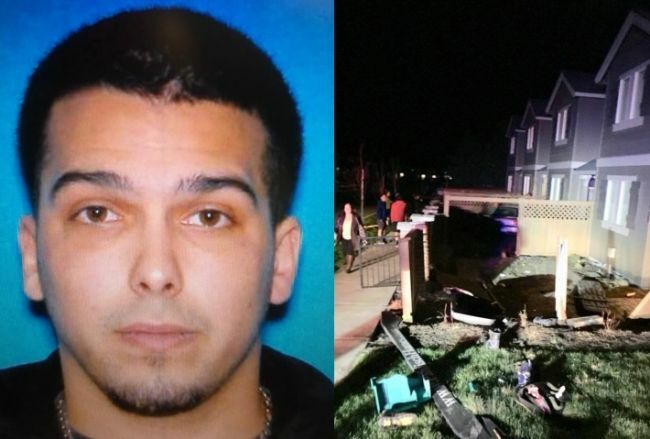 Investigators say Christopher Aviles drove a Subaru taken from Tumalo through several properties in the area before eventually running from the scene on foot. He was last seen wearing jeans or khaki pants and a long-sleeved shirt. Anyone with information in the case, or who knows where the suspect is, is urged to call 541-693-6911, reference 18-116594. 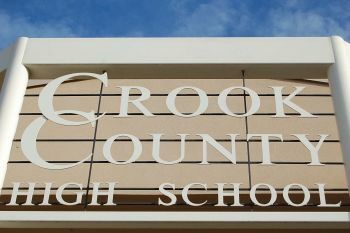 PRINEVILLE, OR -- Prom, known nationally as the evening with the most youthful drunk driving incidents, can be dangerous for teens, but Crook County's Students Against Destructive Decisions organization is hoping to raise awareness. Mitchel Bennett, a SADD Youth Liaison, says prom can be a dangerous time, when students make destructive choices regarding drugs and alcohol, so a Chain of Life event is planned for Wednesday, where all the students can participate. "What we're planning to do is make an event where we ask everyone to come together and lock their future and not make destructive decisions. So, what we're asking everyone to do is write on the piece of paper to not make destructive decisions for prom and then link them all together so everyone can see their contribution, and their commitment." Once everyone's chain link has been combined to make the Chain of Life, it will be hanged off the balcony in the Commons until the end of the year and used as a symbol of the high school community's commitment to stay drug and alcohol free. Bennett says prom can be a dangerous time, when students make destructive choices because they think they'll have more fun. 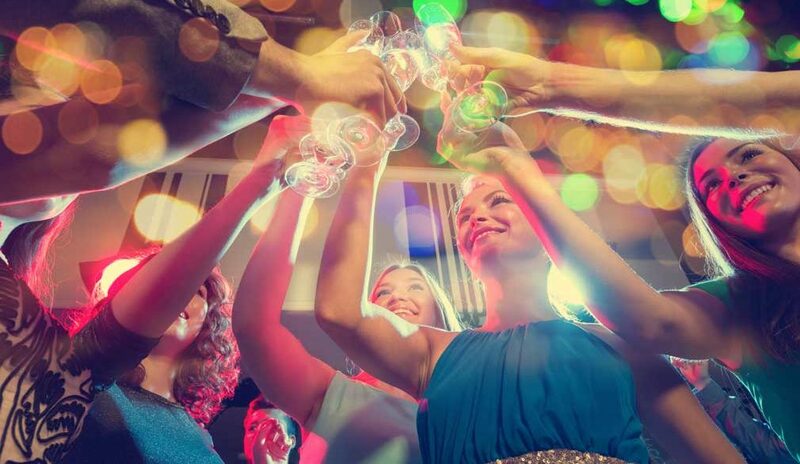 "It's a night of celebration and all the way from alcohol to other substances they may use. Prom is very high risk to drunk driving." SISTERS, OR -- Hemp, distinct from marijuana due to its much lower THC content, can be grown in Central Oregon with none of the strict regulations required by its cousin. Matt Cyrus of Triple C Farms in Sisters, says hemp gets a bad rap, but according to the state of Oregon, it's a crop just like anything else growing in a field. "It's no different than if you were raising mint. Or dairy. Or any other crop that people don't like the odor. It's just as legal as any of those other crops. And Oregon and Deschutes County's farm provisions kick in and prevent any neighbor complaints." Cyrus claims not all hemp smells bad. "The skunky odor that some people dislike are specific strains. Some strains smell like a bouquet of flowers." He says he even had one once that smelled like Juicy Fruit gum. Unlike marijuana, hemp grows like bamboo, because all the parts of the plant are harvested to make paper, plastic, textiles, and CBD oils for lubricants and medicines and Cyrus says hemp was made illegal because it threatened the timber and plastics industries. 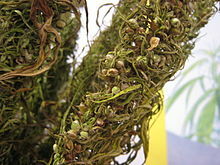 "Hemp has been around for a long time and is a very sturdy, good product used in paper and textiles. Also, it's found to be effective in plastics, and in fact, they can make a biodegradable plastic from hemp." 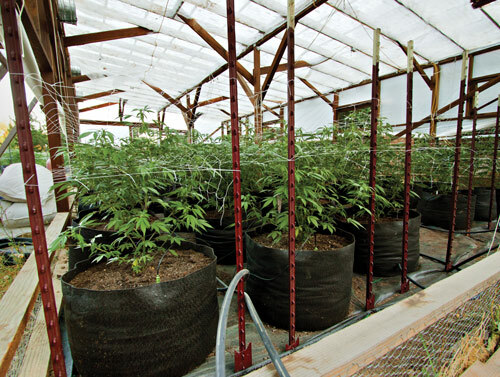 Cyrus thinks that more Oregon farmers will switch to hemp as the medicinal and recreational marijuana markets top out, and it's a way for area farmers to grow a durable, mold-resistant plant, outdoors, with none of the regulations imposed on marijuana. He has 25 acres of hemp growing near Sisters, and he says what he thinks is most impressive about hemp is that it has been anecdotally linked to healing. "The CBD, taken from the crystals on the flower, has been found effectively with its healing properties. The CBD is the medical part of the medical marijuana. It's the substance that will help your body heal, as opposed to getting you high from the THC." Hemp growers must be registered with the Oregon Department of Agriculture, because hemp is a crop, but they don't need approval from the Oregon Health Authority or the Oregon Liquor control Commission, like medicinal and recreational marijuana growers do. PRINEVILLE, OR -- A 53-year-old man reported missing Sunday morning, was found safe nearly eight hours later. The Crook County Sheriff's Office says Terry Gore was camping with his girlfriend in the Millican OHV area. The couple went for a walk together, but the woman returned to their vehicle when she got tired. After about seven hours, she was still waiting for him to return to their campsite. Two people found her and called to report Gore missing, activating Crook County's Search and Rescue team. After about an hour of searching, he was found about a mile north of his campsite. Gore was conscious and alert, but complaining of dehydration and muscle soreness. He was given a ride back to camp and reunited with his girlfriend. 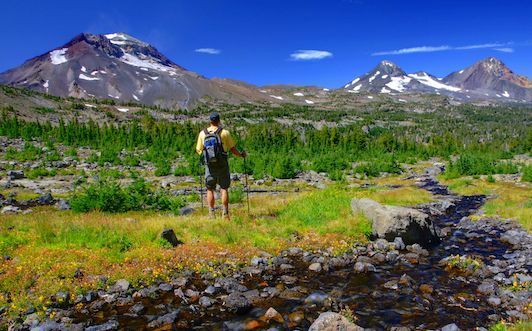 BEND, OR -- Deschutes and Willamette National Forest officials have released a draft proposal to deal with the impacts associated with more people visiting wilderness areas in the Central Cascades. Jean Nelson Dean, with the Forest Service, says the report has been in the works for a while, "For the past year, we’ve had a group of resource specialists from the Deschutes National Forest and the Willamette National Forest who’ve been looking at this issue around tremendous growth, particularly in the last five years, of visitation; specifically in the Three Sisters, the Mt. Jefferson, and to some degree the Mt. Washington." They're also looking at additional management of the Diamond Peak and Waldo Lake areas. Nelson Dean tells KBND News, "In the last five years, we’ve seen 136% growth in people visiting the Three Sisters Wilderness. So, that’s over a doubling of visitors in a five-year period in an area that was already heavily visited." And, that high number of visitors leads to more damage, "We see trail impacts, a lot of garbage, human waste issues, people doing damage to trees, of course it effects wildlife. And, under the 1964 Wilderness Act, we’re required to protect these areas. They are different than just general forest; they are designated through Congress as Wilderness, and they are to be protected in certain specific ways." She adds, "They’re supposed to be a place where man visits but the effects of man do not remain." The Environmental Assessment draft proposes five management options, ranging from maintaining the current self-permitting process to restricting the number of day-use and overnight permits issued to reduce the number of people in an area. Restrictions could be placed on the most used areas and trailheads, or on all. Four public meetings will be held to gather input on the plan. Nelson Dean says she hopes people will come to one, listen to the information, then provide specific feedback. The first opportunity is Tuesday at 5:30 p.m. at Sisters High School. A second will take place Thursday at 6 p.m. at the Deschutes National Forest Supervisor's Office in Bend. Two others are scheduled for Salem and Eugene. A final decision is expected later this year with implementation in 2019. 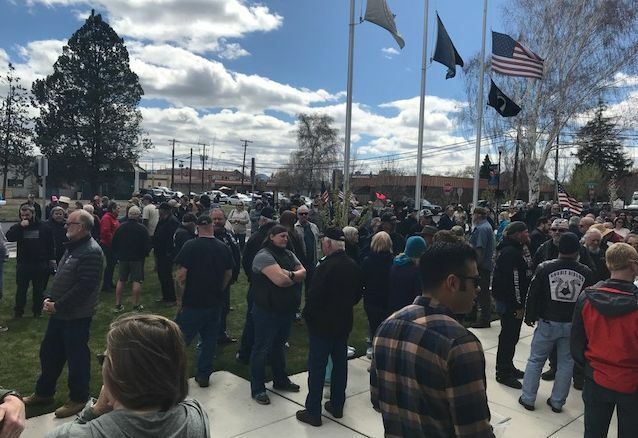 REDMOND, OR -- Gun rights activists and supporters filled the front lawn at Redmond City Hall, Saturday, to show their opposition to an Oregon initiative petition that appears headed for the November ballot. Organizers say #WeSupport2 rallies in six cities around the state attracted about 1500 people. Candy Yow, of La Pine, hosts her own outdoor show and is an avid hunter. She told the Redmond crow, "I'm just a mom, a wife, a grandma, and I love getting into the outdoors; there's hardly anything that will keep me from getting out into God's beauty, watching the wildlife and seeing what He has given us. And, we are blessed to live in a country that we can still do that. So, we take every opportunity to get out there and thank Him for everything. But, in return, we need to fight for those rights for ourselves, too." She says IP 43 would restrict ownership of some firearms and high-capacity magazines, "How many people out there think it will not effect you, and yet it will effect you. You need to do your research, because it will. Many of us use rifles that could fall into this class, due to it either being an AR - which is not an 'assault rifle' - a rifle with a detachable magazine, a muzzle break for less recoil, or numerous other reasons." Yow cited gun laws enacted in Germany prior to the holocaust and in China during Chairman Mao's cultural revolution as examples of how 'gun control' doesn't work because law-abiding citizens turn in their weapons while criminals don't, "If you think this initiative, and those that follow it, won't effect you, you are wrong. This will only be the first step. Let's not let history repeat itself, let's not become victims of our government control or worse. Let's stand for our Second Amendment rights to defend ourselves, to supply ourselves with food and to live in a free country." Outdoors Expert Gary Lewis urged people to become familiar with the specifics of IP 43. "The people who are behind this initiative and this soon to be new ballot measure, if they get their way, those squirrel rifles would be illegal. In fact, 40% of the guns we were shooting with that day - often the first gun that a person picks up when they learn to shoot - will be illegal." The Redmond #WeSupport2 rally started with the Pledge of Allegiance and National Anthem, and featured booths from the NRA and Ladies of Lead, as well as numerous speakers. 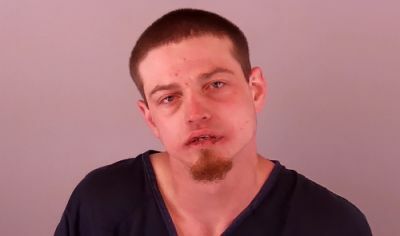 BEND, OR -- Bend Police arrested a burglary suspect, early Monday morning, after he was confronted by an armed homeowner. Officers were dispatched to the home on NW Nordic, just after 5:30 a.m. after a woman called 911 to report her husband was holding a suspect at gunpoint. Investigators say 45-year-old Shelton White broke a window at the home and was trying to get inside when he was confronted by the couple. A struggle ensued as the 79-year-old homeowner tried to keep white out. Both men sustained injuries. The resident was treated at home, while White was admitted to St. Charles Bend with non-life threatening injuries. The suspect doesn't appear to have known the residents, and Bend Police drugs and/or alcohol were involved. White is charged with Burglary I, Assault 4 and Criminal Mischief 2. REDMOND, OR -- A Redmond man was arrested Saturday, following an armed robbery at a U.S. Cellular Store. Redmond Police say 23-year-old Mitchell Hunsaker (right) used a handgun to demand money and an iPhone from employees, just after 5 p.m. He was found about a mile away and taken into custody after a brief foot chase. 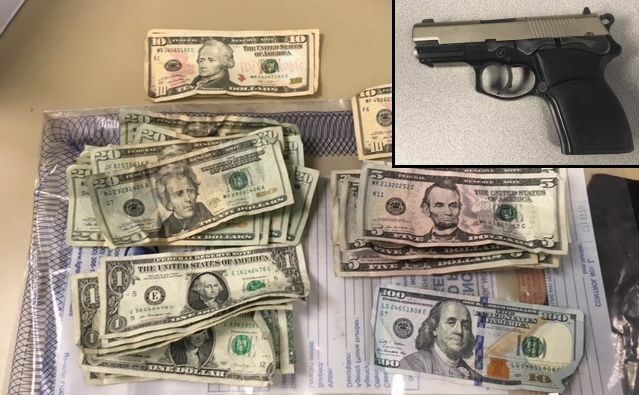 A K9 unit tracked down stolen money, clothing worn during the robbery, a backpack with stolen items and a gun. After tips from witnesses, 23-year-old Dustin Hilsendager (below) was arrested for driving the getaway car. Investigators say evidence of the robbery at U.S. Cellular was found inside his vehicle. Police credit store employees and numerous witnesses in the community for helping to quickly resolve the case. 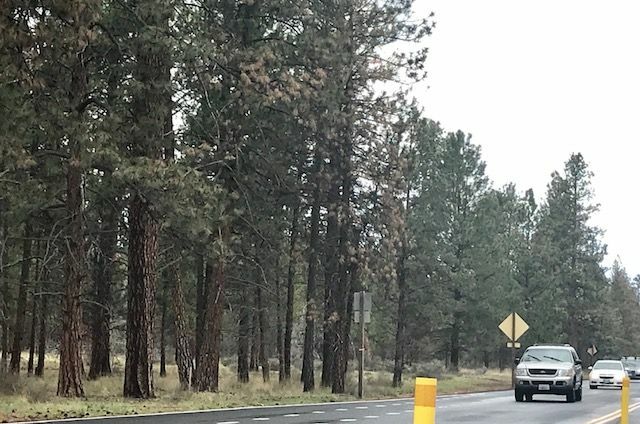 BEND, OR -- Deschutes National Forest officials expect firefighters to ignite another prescribed burn Monday, west of Bend, if conditions remain favorable. They burned about 150 acres south of Cascade Lakes Highway, Sunday. Monday, they’re scheduled to burn a 77-acre unit on the north side of Skyliners Road. Tuesday, they plan to light another 109 acres north of the Rimrock Trailhead on the north side of Cascade Lakes Highway. Click HERE to access the Forest Service's interactive map showing active and upcoming prescribed burns. Smoke will likely be seen from the operations, but no road closures are anticipated. 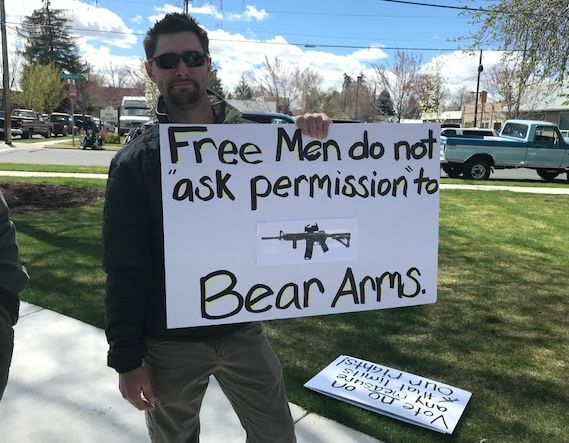 REDMOND, OR -- A pro gun-rights rally is planned for Redmond Saturday. Sharon Preston, with the Oregon Firearms Federation, says it’s part of a greater effort to show support for the Second Amendment. 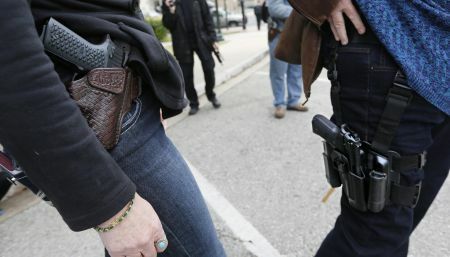 "It’s called #WeSupport2," she tells KBND News, "It’s put on by the Oregonians for Firearms Education; it’s also being put on by women all over the state. At the same time, you’re going to have one in Sandy, Eugene, Medford, Portland, Salem, Pendleton, and of course, Redmond." She says the events are a show of opposition to a state proposal that would restrict gun ownership. "We’re going to have some great speakers lined up; and also, we’re also hoping we’ll have a petition you can sign. It’s an initiative for the Deschutes County Second Amendment Preservation Ordinance, which has already been passed in Coos, Curry, Wallowa, Wheeler and Josephine [counties’], and it’ll be on the November ballot for Columbia [County]." That petition is for a Deschutes County initiative called the "Second Amendment Preservation Ordinance." The local #WeSupport2 rally takes place Saturday, from 11 a.m. to 1 p.m., at Redmond's City Hall. Click HERE for more information. 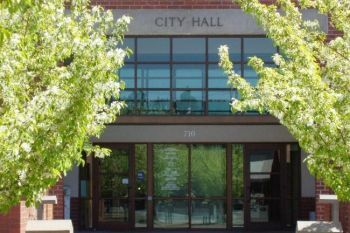 BEND, OR -- Commercial property owners in downtown Bend will pay an additional fee to help cover the cost of increased security patrols and other improvements. City Councilors approved a resolution imposing the $.25 per square foot assessment this week, for properties within the Downtown Economic Improvement District. While the city does administer the fee and collect payments, Bend City Manager Eric King says the money doesn’t go into city coffers. King says the money is sent directly to the Downtown Bend Business Association (DBBA) in a partnership that is helping address complaints received last year about things like trash, loitering and drug use, "The downtown businesses are doing their part to improve safety through this assessment." He says city officials have already launched several initiatives to address problems, "More patrol, we purchased a power washer to clean the sidewalks, we’ve clarified our codes in terms of sitting and lying on the sidewalk, we’re improving the parking lot at Mirror Pond, we’ve removed garbage enclosures were people were loitering, we are now going to be redoing that whole parking lot to, not only provide a safer environment, but also provide an opportunity for longer vehicles to park." And, he says the extra assessment means the DBBA will be able to increase those efforts, "Some other items include security cameras downtown, we are supplementing some of our resources with private security; we have a private security firm that patrols the parking garage. I think all of these things are working together." 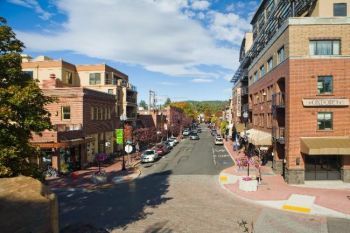 King acknowledges that downtown Bend faces issues similar to many larger cities, "We have the advantage, as a growing city, we can maybe learn from some of those other, more mature cities and say, ‘Ya know, we don’t want to fall into that same pattern; we want to get ahead of it.’ So, we can leverage the growth to plan our city in a smart way and respond to some of these issues more proactively." The assessment is expected to send about $214,000 a year to the DBBA. Click HERE to listen to our full conversation with Bend City Manager Eric King. 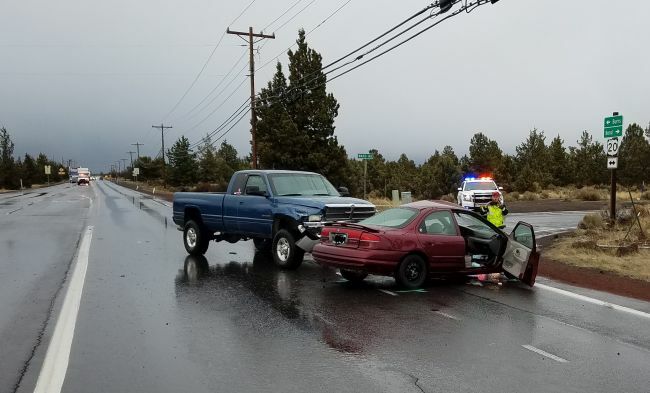 BEND, OR -- A 10-year-old was seriously injured in a crash on the Bend Parkway, Thursday morning. According to police, a 33-year-old was driving northbound when his pickup crossed into the southbound lanes near Hawthorne. At about 8:40 a.m., he collided with a car driven by a 27-year-old Bend man. The child was a passenger in that car and was flown to a Portland trauma center. A GoFundMe page has been set up to help the family cover medical costs. And local Dutch Bros coffee locations will donate $1 from every drink sold on Friday (April 20) to the care of recovery of the boy. The pickup rolled on to its top after the collision, and the parkway was blocked for just over an hour to allow emergency crews to extricate the driver from the truck. He was taken to St. Charles Bend with non-life threatening injuries. Bend Police continue to investigate the cause of the crash and are looking for witnesses. Anyone who saw it happen is asked to call 541-693-6911. 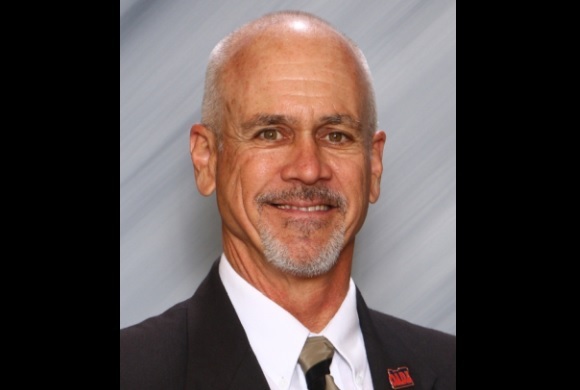 BEND, OR -- Mountain View High School’s Athletic Director has been selected as Oregon’s Athletic Director of the Year. Dave Hood has worked for Bend-La Pine Schools for 38 years and has served as Mountain View’s AD for the past 16 years. In a statement, Hood says he’s proud and humbled by the honor. "My goal has been to create a culture of care and character and to create opportunities and serve the kids and the coaches." He adds, "Being an AD goes beyond Xs and Os, and goes to what our purpose is. Yes, we want to win, but why are we doing what we are doing?" Hood says, "My favorite part is serving students, families and coaches. Whenever I make a decision I always look to see how it affects kids and take that to heart." The Oregon Athletic Directors Association (OADA) chooses the AD of the Year for making significant contributions to their school, community, league and the OADA organization. Hood has already received the lifetime service award from the association. BEND, OR -- A local high school student's unique art display is raising awareness of teen sexual assault. Redmond Proficiency Academy junior Sydney Scott says the service project helped her earn her Girl Scout Gold Award, "My project is 198 pairs of jeans, which represents the Oregon 2016 teen reported sexual assault number. I’ve personally dealt with being a victim of sexual assault, so that’s mainly why I focused on it." The nearly 200 pairs of pants will hang inside the Liberty Theater, in downtown Bend, on Friday, as part of Take Back the Night with Saving Grace, "And, it’s just to give an idea because, when you hear a number, normally you don’t see a visual." 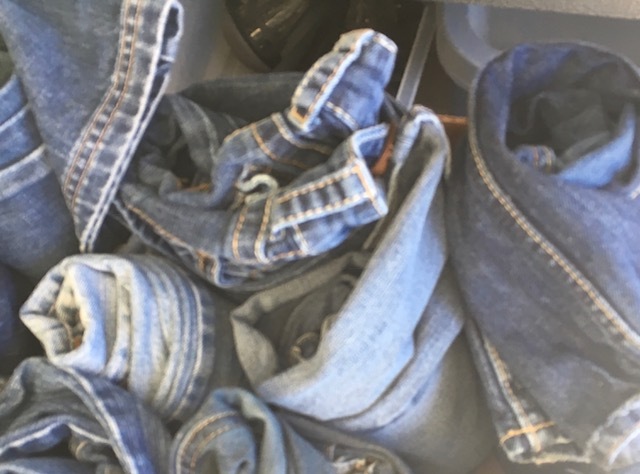 She tells KBND News, "It’s giving that visual notion because, when I started collecting jeans, I didn’t realize how many that actually was until I had so much – they take up so much space." She hopes her "METOO" display will help others better understand the problem and raise awareness of victims like herself, "I’ve learned a lot more people have personal experiences and how scary it is to see how many people have dealt with similar situations and learning that people actually care more about it than I originally thought." Take Back the Night starts with the "March for Survivors” through downtown Bend at 5 p.m., Friday. 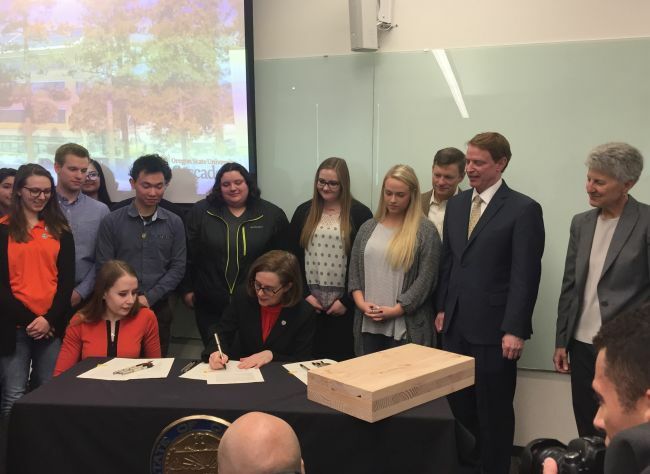 A number of activities will then take place at the Liberty Theater, from 5:30 to 7 p.m.
BEND, OR -- Governor Kate Brown was in Bend Wednesday to sign HB 5702, a $39 million statewide investment in a new academic building at OSU Cascades. University Vice President Becky Johnson say the process to get the funds was an arduous one, involving people not just from the college, but also legislators, community leaders, and business owners. 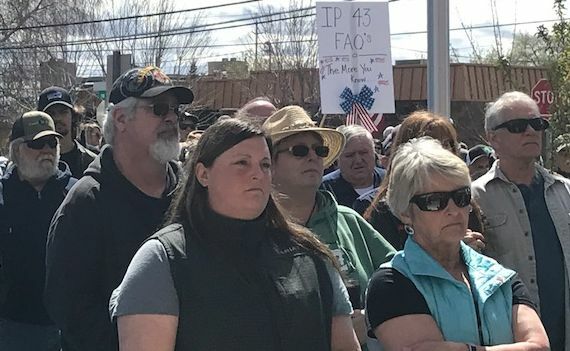 Johnson told the crowd, "Many of those community members took the time to make their voices heard in Salem during the last few legislative sessions. I wouldn't be surprised if the Governor says she's tired of hearing from Central Oregonians." Amid laughter, Brown responded, Never!" 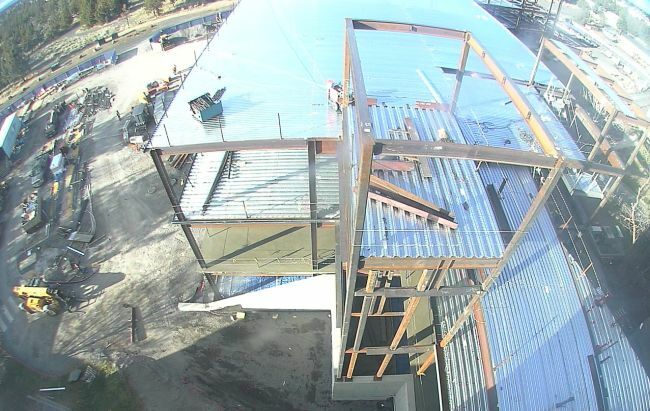 The new building will be dedicated to STEAM studies: Science, Technology, Engineering, Arts and Mathematics. State Senator Tim Knopp (R-Bend) says the bill's approval was a long time coming, but says he knew it would happen once Brown threw in her support. "Many of you, like me, were disappointed at the outcome of the '17 session. 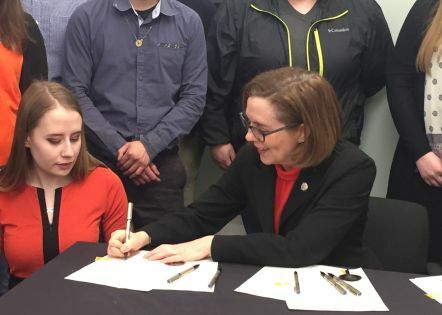 But, I got a call from the Governor after that session, and she made a commitment that she would work with me and the Central Oregon delegation, to get to where we needed to be for the new academic building and for the bonds for OSU Cascades." State Representative (R-Powell Butte) and La Pine Mayor Dennis Scott also attended the bill signing. Governor Brown says watching the school's expansion and knowing she has a part in it, makes her proud, "I'm just really excited to see OSU Cascades continue to flourish and support innovation in Central Oregon. The vitality of the Central Oregon economy is very much dependent on our students and making sure that they're prepared for the workforce of the future." 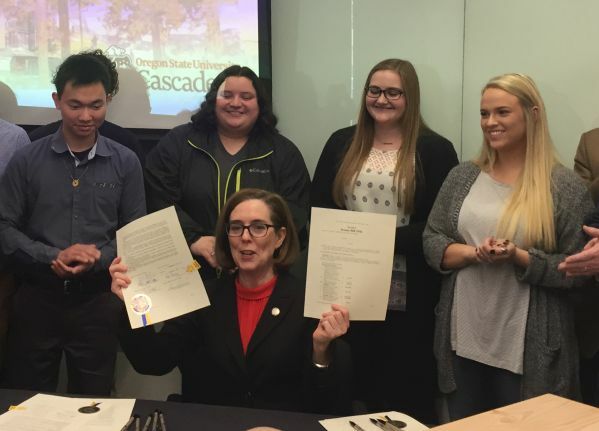 She says the technology students can learn at OSU Cascades go hand-in-hand with her Future Ready Oregon program, which she says will bring more tech-related apprenticeships and jobs to Oregon. Earlier in the day, Brown met with the program's developers and potential participants at Five Talent. "What I love about this place, is everybody is working together, rowing in the same direction," said Governor Brown, "Local leaders, legislators, and business are all at the table, working on a strategy focused on people, place, and prosperity for all." PRINEVILLE, OR -- Independent candidate for Governor Patrick Starnes is running on a platform of bringing more manufacturing jobs to Oregon and getting big money out of politics. According to Starnes, 38% of Oregon voters don't consider themselves Democrat or Republican, which leads him to conclude the Governor's race will be decided by the disillusioned. While in Central Oregon this week, Starnes told KBND News he believes being Governor is in his future, "I hope to have a large third of the voters in Oregon; and if I hang on to that percentage, and also bring in Democrats and Republicans to support me, especially using small donations, we will have modeled campaign finance reform, and that'll be a big change for Oregon." And, he says he's practicing what he preaches, "I'm the only candidate who's restricted his own donations to $100 per person. And, I'm willing to raise a million dollars doing that, but I just don't want special interest money, or large corporate money, to drown out the little people that are trying to contribute and trying to be heard." Starnes, who has been a cabinet maker for 30 years, believes that Oregon can do more with wood products and build more finished wood products in state, which he says would boost the economy and help small, local businesses. He was twice elected to the Douglas Education Service District, in Roseburg, and once to the McKenzie School Board, and believes that school board experience should be mandatory for anyone running for Governor. 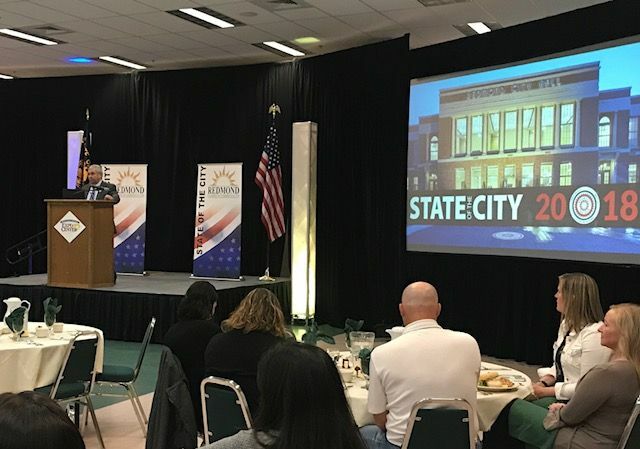 REDMOND, OR -- Mayor George Endicott took a look back at the past year, and cast vision for Redmond's future, during Wednesday's State of the City Address. He highlighted improvements at the airport, major housing projects now in the pipeline and upgrades to several parks, including the Dry Canyon, "We just purchased 36 acres at the north end of the canyon to add to our parks system. That's the largest land acquisition for parks that we've ever made. We do have in our Council goals the number of acres that should be serving our city; and, we should have four acres per thousand. Even with this, we still have about a 30 acre deficiency." He talked about the two hotels under development near Highway 97 and Yew Avenue, one from Choice Hotels, the other from Hilton. "Also, we are negotiating right now with a third hotel that would go on some of the airport property right near the fairgrounds. That deal is not inked yet, so I can't say too much more about it; but, it looks like Redmond is going to get three new hotels in the very near future." Renovations are also underway on the New Redmond Hotel, an historic building that will be remodeled into the city's first boutique hotel. He says more lodging opportunities are needed to accommodate the increasing number of visitors traveling through the Redmond Airport. Endicott announced Alaska Air will fly larger 737s direct to Seattle, starting in June. During the address, Mayor Endicott also discussed challenges the city faces, "Affordable housing is a statewide issue, we all have that problem; we're all trying to solve it in different ways. We approved that development last night, and one of the requirements in there is that about 30 of the units are going to have what we call accessory dwelling units - that's a government term for 'granny flats,' if you will. The good news is, we're doing it up front so they can build it into the design." He lamented about the growing PERS liability and the need for more police. A budget proposal released yesterday suggests pulling some funding from parks and transportation to pay for three new officers and a tech. The Budget Committee starts work on that proposal, next week. BEND, OR -- The road to Tumalo Falls reopens Wednesday, following the annual winter closure. Visitors will be allowed to drive to Tumalo Falls but Deschutes National Forest officials urge drivers to be cautious of spring road conditions and aware of vehicle, pedestrian and bike congestion in the area. On the Sisters Ranger District, the Forest Service is changing its permit process for dry pine cone permits, due to high demand in recent years. In the past, 30-day permits allowed people to gather 80 bushels of dry pine cones during a 30-day period. But, officials say pickers often far exceeded that allowance. When the season opens May first, two types will be available: a 10-day permit for $20, or a 60-day permit for $100. Neither has a limit on the number of bushels picked in that time. In addition, the Ranger District will not place contract area restrictions. 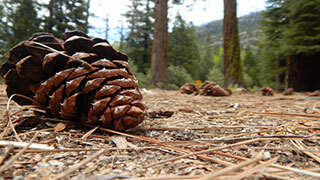 Spring pine cone picking season ends June 30. For more information, contact Special Forest Products Officer Jeremy Fields at 541-549-7659. BEND, OR -- After 38 consecutive years, the Cascade Cycling Classic, will not take place this year. 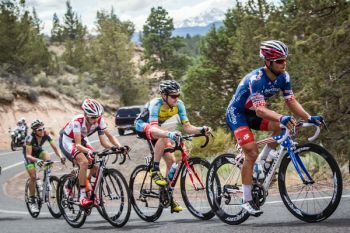 One of Bend's best known sporting events, the Cascade Cycling Classic got new management last fall, and when Bowen Sports Performance took over it planned major changes. Those new programs are taking longer to implement than expected. The handful of participants and sponsors who’ve signed up will receive a full refund. Organizers say the event will ride again in 2019. 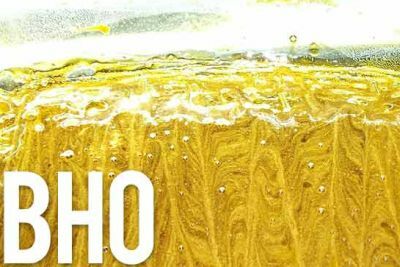 Bend's Worthy brewing will be the sponsor in 2019, and is looking forward to the race's return, with changes that include increased community involvement and programs aimed at attracting new cyclists. 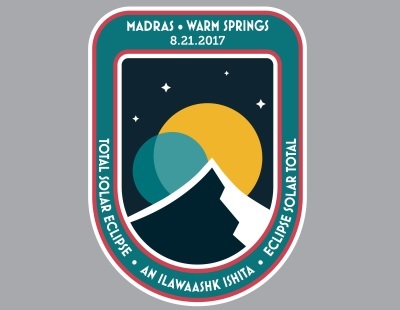 MADRAS, OR -- Eight months after a solar eclipse darkened the skies of Central Oregon, NASA scientists are back in Madras. They’ll host a public presentation Wednesday at the Madras Performing Arts Center. PAC Director Shannon Ahern says they’ve returned for more than just a recap of the August 21st eclipse, "The main reason they’re coming is: Last year, they spent quite a bit of time in our school district and had outreach to every single student in our district, working on science, trying to get kids inspired to go want to go into the fields in science; they worked a lot with our STEM programs. So, they’re coming back and they’re going to be back in our classrooms this week." Ahern says they forged a unique partnership with the kids, "Who gets to spend months on end with NASA scientists? And, these guys are big-time. Anytime you see anything on TV that’s a visual of the sun - showing sun spots or a big solar flare - odds are, that came from the Solar Dynamics Observatory, which is what Dr. Pesnell runs; and he’s who will be here speaking. He and Michael Kirk both, they started coming a year ago, in the wintertime, and were out – I lost count of how many times they were here – but, the kids know them on a first-name-basis." Ahern says they also donated thousands of pairs of eclipse glasses in Madras and Warm Springs. It's a relationship she, and many in the community, hope will continue, despite the waning of eclipse-mania, "I don’t know that we’ll keep talking eclipse, but that was a great way to get the community excited and the students excited and also educated in what was safe. You know, NASA was amazing; they did so much outreach to the community and the students, teaching them about the eclipse. It was just a great partnership with them, and we’re certainly hoping it’ll continue. I think NASA wants to do the same." Wednesday evening's free presentation at the PAC called "That was a Marvelous Eclipse! And Madras was the Best Place to Watch!” starts at 7 p.m. and is open to the public. It'll feature a slide show of eclipse photos submitted by the community. Click HERE for more information. 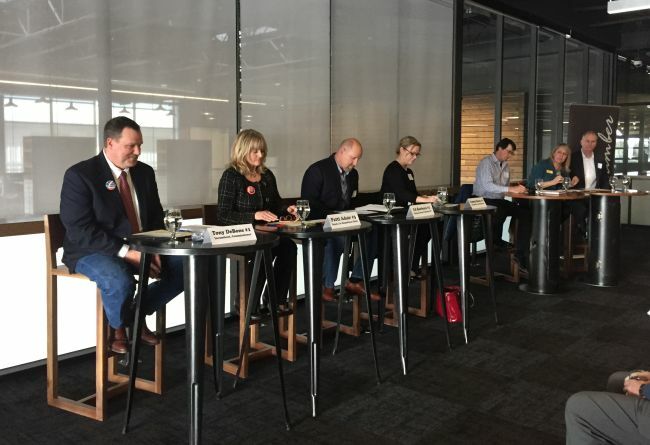 BEND, OR -- The four Republican candidates for Deschutes County Commissioner faced off Tuesday in another debate. The evening event was part of the "What's Brewing?" series hosted by the Bend Chamber of Commerce. Patti Adair is challenging incumbent Position Three Commissioner Tammy Baney in the May primary and says Baney's spending time away from Deschutes County working in Salem is not what constituents want. Adair told the crowd, "I will work 100% of my time in Deschutes County. I'm running against an opponent who spends several days a month in Salem, working for Kate Brown." Baney says creating relationships with the state leadership and working on committees at the state level benefits the county, "If we are not at the table, we are on the menu, folks. So, if we want to complain about land use, if we want to complain about issues that are happening in Salem, we have to be at the table to be able to address those." Adair calls Deschutes County an "enormous business," and says Baney isn't paying enough attention to running it right. But, Baney says, "It is intentional; it is not by happenstance that your county is in very good fiscal condition." She adds that she tries to come to the table without preconceived notions, "We have very spirited dialogue in Deschutes County, and we come together to try and seek solutions. So, for me, it's about being objective and listening to both sides of an issue." But, Adair says Baney isn't doing enough, "It's really important that people make very, very careful decisions when they are a Commissioner; and I would definitely use all the wherewithal and do all the research I could possibly do to make the best decision for you." Position One challenger and local businessman Ed Barbeau and incumbent Tony DeBone also took part in the forum. Barbeau focused on problems the county has had since July with the Harris Radio system used by first responders, calling the new system an "abject bad decision." He asked DeBone, "Did you even spend five minutes getting on Google and taking a look at all the cities, states, and counties around the country where this system is failing?" DeBone defends the move to Harris, saying the early bugs have been addressed and commissioners followed protocol. He says Barbeau is making it a larger issue than it deserves, "I know you're just like a dog with a bone on this, but we've moved past it, we have an operational system, the officers are using it today, and they've been using it since last July." DeBone says running the county needs to be like running a business, with a heart for customer service and an eye on the bottom line; he believes that view is what got Deschutes County through the Great Recession. Barbeau says he considered leaving during the downturn, but is glad he didn't, "I got to tell you, I have loved living here for 30 years. It's a wonderful place, and I want it to stay that way." The Primary is May 15; the winner in each race will face opposition in November. One Democrat has filed for each position. 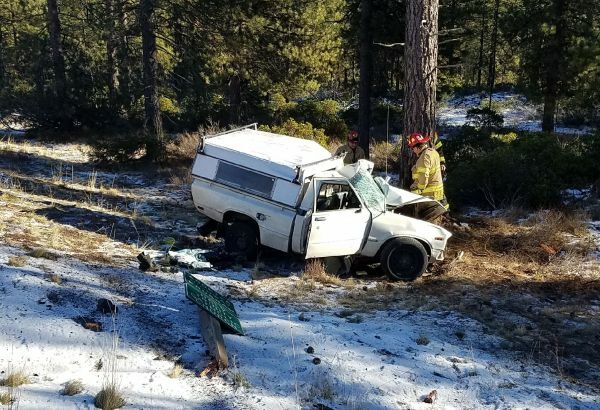 BEND, OR -- Another deadly crash east of Bend has some calling for improved safety on Highway 20, east of Bend. On Sunday, a John Day man was killed at Hamby Road when he reportedly pulled out in front of an oncoming pickup. 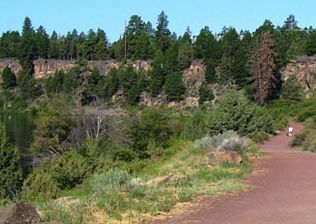 In December, a Bend man was killed in the same area (above). Peter Murphy, with the Oregon Department of Transportation, says the intersection with Hamby and Ward roads is considered a high priority, "We can take steps, such as making bigger signs – we have, out there. We’ve lowered the speed limit in that area, too." But, he tells KBND News more will be done, "The first thing we can do at that intersection is what we call a road audit. We’ll put engineers right there, who physically watch traffic for a period of time and then develop solutions based upon what they see." Deschutes County Roads Director Chris Doty says his department is working with ODOT on that audit, "We will collectively sit down, put our heads together regarding what can be done at the intersection, both from a low-cost, near-term perspective – things that can be done immediately – to kind of that long-term perspective and ultimate improvement that we need to design and budget for. So, it’s having a shared ownership in the solutions." He adds, "Everybody recognizes that we need more capital improvement at that location and that we’re probably looking at a higher cost solution to improve safety there. A roundabout’s been discussed." But, he notes it’s very early in the conversation. Murphy says congestion is the biggest problem, "We have a lot more traffic, so it leads to situations in which there’s a lot more conflict, if you will, on the road." Doty agrees, "What we see out there is we see urban level traffic occurring at an intersection that’s rural in nature and rural in design." And, he expects it will lead to an urban-type solution. "As a state highway, certainly it’s ODOT’s call as to what ultimately happens there, in regards to the county road intersection. But, we want to work together to come up with a solution that works for their system [and] works for our system, but overall just makes it safer." Click HERE to listen to our full conversation with ODOT's Peter Murphy about Highway 20 safety. 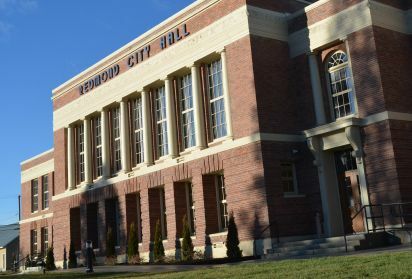 REDMOND, OR -- A budget proposal for the city of Redmond is due to be released Wednesday, and it could recommend more money for public safety. Lt. Curtis Chambers say Redmond Police needs to hire more officers. "The Redmond Police Department can justify the need for eight additional police officers, based on how quickly the city is growing and how busy our officers currently are." Last fall, City Council discussed imposing a $6 monthly utility fee to help pay for hiring six officers. But, after months of public meetings, the idea was shelved. "In February, City Council said they were going to prioritize public safety in the upcoming budget year," Lt. Chambers tells KBND News, "We will find out this week what that potentially means. One or two Councilors at that meeting back in February did state that they hoped to see as many as three officers funded through existing revenue sources." He acknowledges more money for police will likely mean cuts to other departments that also rely on the general fund, "With increasing funding for the police department, we know that’s going to come at a cost for other city departments – parks or transportation." Lt. Chambers adds, "We are aware that whatever increase that we may receive, if granted by the Budget Committee and adopted by City Council later in May and into June, is going to come at a cost because there is no additional revenue source, at this time." Once the proposed budget is made public, the Budget Committee will review it and work to finalize it through a series of meetings, beginning April 24, prior to Council approval. City Councilors have also discussed asking voters whether they would support a public safety fee on their monthly utility bill; that referendum could appear on the November ballot. Click HERE to listen to our full conversation with Redmond Police Lt. Curtis Chambers. 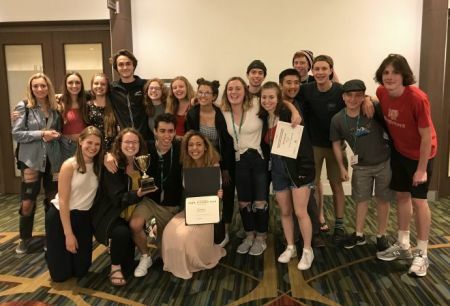 BEND, OR -- Summit High School's student newspaper, The Pinnacle, placed first and won Best of Show at last weekend's Spring National High School Journalism Convention. The event took place in San Francisco, hosted by the Journalism Education Association and National Scholastic Press Association. Karen Boone, Summit High's Newspaper and Yearbook advisor, took 23 of her 49 staff members to the convention, "First of all, it's a pretty big deal because at the convention, I think there were probably 5,000 students and schools from all over the United States." Boone says several states have outstanding youth journalism programs, so it's gratifying that Summit does so well, "They submit an issue of their newspaper and then they are judged against other entries, and so it's pretty stiff competition." She tells KBND News the group received a trophy and certificate, but the kids most like seeing their names in print, "They're recognized in a publication that is called 'best of the High School Press,' so it's a big honor." Also at the convention, six Summit students won "'write-off!" awards, honoring individual contributions to The Pinnacle. This is Summit's third time winning Best of Show in the last four years. 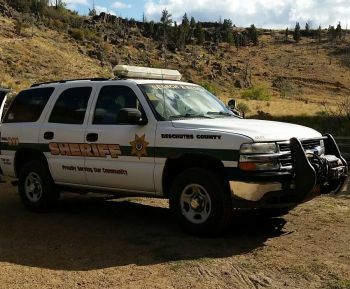 BEND, OR -- The Deschutes County Sheriff’s Office has released details of the nearly two-year internal investigation into a former Lieutenant, which outlines a pattern of belittling behavior by the supervisor over several years. Lt. Tim Leak was put on paid administrative leave in May 2016, after the investigation into Captain Scott Beard turned up allegations that the two repeatedly bullied subordinates and instructed detectives not to accurately record overtime hours, among other policy violations. In documents obtained by KBND News, one co-worker describes Leak as "sarcastic, cynical and belittling, without leadership skills. Lt. Leak is not open to input from other staff, and has poor leadership skills." Another said, "both Beard and Lt. Leak did not treat detectives well. Both would ridicule detectives in front of co-workers or other people." They added, "When Lt. Leak was not around Beard, he would be a bully to detectives. Lt. Leak was arrogant and subordinates did not want to talk to him." Similar observations were echoed by a number of other staff. 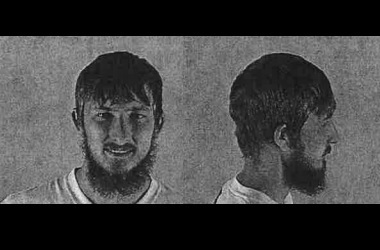 Beard is now in prison for embezzling from the Sheriff’s Office. Captain Paul Garrison says there’s no evidence Leak was involved in criminal activity, but his pattern of behavior was concerning, "The Sheriff, ultimately, and subsequently myself, as one of the Captains within the agency and my two counterparts, we have a responsibility to the people we work with to provide a healthy environment for them to work within. Because, obviously, a healthy employee is an effective employee; and there were challenges with that." He tells KBND News Leak's actions were not in line with the mission and values of the Sheriff’s Office, "We have an obligation to the citizens to look after that agency that they spend their hard-earned tax dollars for. We are here to ensure that we are putting the best agency out there to protect them and serve them as effectively as we can. Regardless of how many of these we have, that is still going to be the line in the sand that we adhere to." Both Leak and Beard were promoted under Sheriff Blanton. Captain Garrison acknowledges there were warning signs that the two were not cut out to be supervisors, including the discovery that Beard falsified military documents to cover up the fact he was discharged from the Navy "under other than honorable conditions." Garrison says, "We need to be effective in the review of our processes all the time. I mention the word ‘vetting’ someone, and we have continued to try to be better at vetting the individuals that we promote within the agency - that serve in specialty positions - for these very reasons." Addressing criticism that the investigation took longer than was necessary, Garrison explains the case was delayed when the original outside investigator, hired to look into the allegations against Leak and several others, was forced to retire for health reasons. "The new investigator had to basically try to familiarize himself with the body of work, as well as conducting the other investigations." Leak retired this past February, effectively closing the investigation prior to its official conclusion. He was paid over $230,000 during his administrative leave, and received another $33,330 under the terms of his retirement agreement. Garrison says the arrangement saved the county money in the long run, "Obviously, at that point when Mr. Leak made his intentions known that he was going to retire, what was recognized was that this was a business decision. And, that's why the Sheriff made that decision to go forward with it; that's what we would conclude it as, essentially an administrative closure." That outcome means Leak could potentially work for another law enforcement agency, but Garrison says, "You would hope that an agency that were to hire someone who worked in a field such as law enforcement would do their homework." BEND, OR -- Scammers appear to be targeting fans of a popular local brand. Stephen Mayer, with the Better Business Bureau, says they’ve received complaints from people in three states about a website claiming to sell authentic HydroFlask bottles at 70% off retail. "The Oregon victim is located in Newport and she told us that she saw a Facebook ad for HydroFlask bottles at a pretty good price," he says, "She clicked on it and went to the website CamoGym.com." 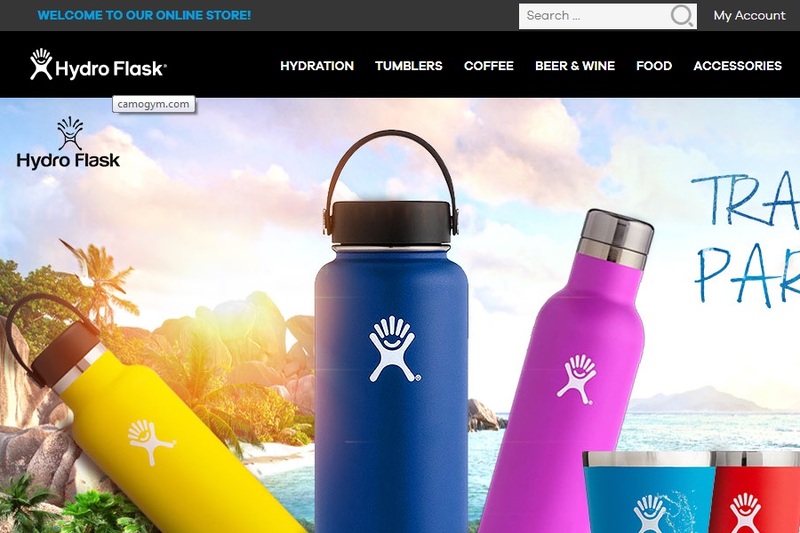 The site looks very similar to the official HydroFlask website, down to the images used and even an identical font; however it's not affiliated with the Bend-based company. Mayer tells KBND News, "[It] Looks like a professional website so she said, ‘ok, I’m going to buy a bottle.’ She entered her credit card information; a few weeks later she realized she hadn’t received a bottle, she started emailing with the people trying to cancel her order." He adds, "They never show up, and what they were doing is they kept stringing her along, ‘Oh, sorry, we had a problem with the shipping or a problem with production. Hold on, it’s in the mail right now,’ really in an effort to get her to stop from canceling her order and contacting her credit card company." Mayer says there were clues that made victims suspicious, "Their responses, their grammar was pretty poor, almost like English is their second language – a pretty big red flag that we tell people to watch out for to indicate that website is operated outside of the country." The BBB believes CamoGym. com (pictured above) is operating out of Asia and uses social media ads to get people in to the site. Mayer suggests online shoppers make sure the web address where you’re entering payment information starts with “HTTPS," indicating it’s a secured site. REDMOND, OR -- Construction crews are now working on a major renovation project in downtown Redmond, to convert the New Redmond Hotel at 6th and Evergreen into the city's first boutique hotel. City leaders and preservation experts toured the site on Friday. The city has committed $670,000 in urban renewal funds for the project, saying a high-end lodging option will keep visitors in downtown Redmond instead of looking for a place to stay in Bend. 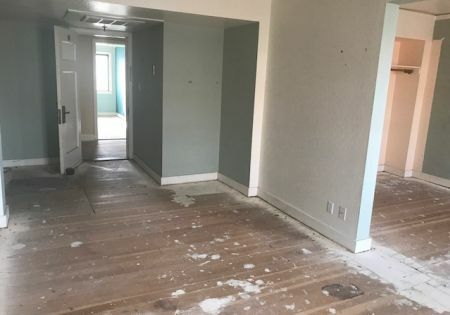 Lydia Ness, with Restore Oregon, tells KBND News construction crews have their work cut out for them, "Maintaining that historic integrity but also modernizing it and moving it up to code and all of those different things - I know it's a challenge. But, also, seeing the beauty retained in the historic character and integrity, I think, is what makes it all worth it." The New Redmond Hotel was built in 1928, after the original Redmond Hotel burned down. It hasn't seen an overnight guest since 2005. In 1980, Restore Oregon was charged with ensuring any work done on the exterior of the building doesn't compromise its history. That includes construction of the rooftop bar, slated to open in July. "It's retaining that integrity and that character of what any person walking down downtown Redmond sees and feels," says Ness, "and that's what we care about and what needs to remain." The State Preservation Office is also closely monitoring construction. Andy Ferchland, with the project management firm Allied Partners, admits work must be done carefully, "The challenges with these buildings is always 'what's behind the walls that we can't see?' which usually has dollar figures attached to it. 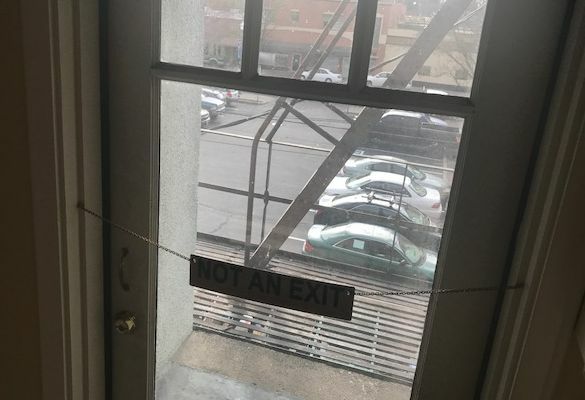 The biggest surprise were the bats living on the third floor in the ceiling, but we got that taken care of right away." Other than those critters, Ferchland says work is proceeding as expected, so far. He tells KBND News the new design aims to put a modern twist on the structure, while complimenting its history, "They [owners] want this to be Redmond's living Room. If you put that mental picture in and you picture that this is to be inviting for not just hotel guests who who walk through the front door, but anybody. Come in the lobby bar and enjoy, relax like you would in your living room. Pop up to the rooftop bar; And then, with the shared workspace they're going to have in the back. So, really just a good representation of everything Redmond has to offer." The developer hopes to have the first floor lobby open in September and the 48 guest rooms are slated to be ready by next spring, at an average rate of $133 a night. 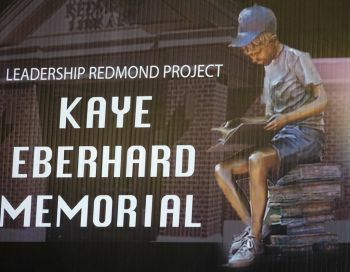 They have not yet settled on a new name, but Lydia Ness says the original "New Redmond Hotel" sign will remain. City officials say the fire escapes featured on the side of the building will likely have to be decomissioned. 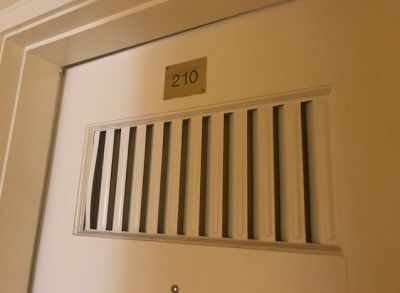 Preservation experts hope some of the building's original charm, like these solid wood guestroom doors with vents, can be retained. REDMOND, OR -- Friday the 13th was bad luck for one alleged car thief in Redmond. A construction worker at the SW Canal Blvd Reconstruction Project reported seeing a suspicious man looking in the windows of a minivan near SW 25th and Canal, then drive away in the vehicle. Redmond Police talked with the van's owner and confirmed it was stolen at about 8:45 Friday morning. Officers caught up with the van about an hour later after a witness reported seeing it run a stop sign at SW Wickiup Ave. and Helmholtz. RPD says the driver would not pull over and accelerated to over 50 mph in a residential area. Pursuing officers called off the chase for safety reasons. Ten minutes later, another officer observed the van in a McDonald's drive-thru. The driver again took off, this time driving over spike strips and hitting one police car. Officers again terminated the pursuit based on the suspect's reckless driving on Highway 97 and concerns over the public's safety. Police spotted the van again a few minutes later, on SW Canal, with four deflated tires. With the tires coming apart, the van was nearly driving on the steel wheels. Officers followed until the van became disabled near SW Timber and 21st Street. Once stopped, police say the driver did not obey commands to exit the vehicle. A K9 officer assisted in arresting 53-year-old David Giovanini, because police say he continually failed to follow commands. 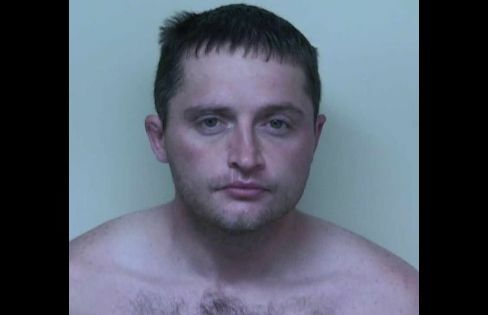 He suffered a dog bite on his leg and scratches to his face from making contact with the road; Giovanini was taken to the hospital for evaluation. He now faces numerous charges, including Attempt to Elude, Reckless Driving and Theft of a Vehicle. BEND, OR -- The Bend Park and Recreation District and Upper Deschutes Watershed Council are working together to improve riparian habitat along the river and Tumalo Creek with 13 projects to be completed over the next 10 to 15 years. While the goal is to restore wildlife habitat, Park and Rec's Perry Brooks says it's important to maintain recreational access for everyone, "We know people want to get to the river; we're not going to prohibit people from getting to the river. It's a recreational amenity that a lot of people utilize. We want to make the access points sustainable, so we won't have continued erosion and riparian loss. That's really a big component of it, and to really reestablish some of the riparian corridor for wildlife is another major goal." 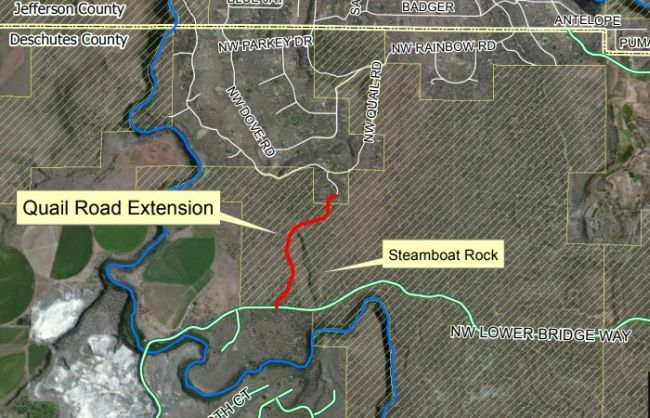 Brooks tells KBND News, "We have a lot of access points to the river, and there continues to be more access points, which is degrading the riparian corridor. 75% of the wildlife inhabits 2% of Central Oregon, and most of that is that riparian corridor along the Deschutes and Tumalo Creek." The 13 areas have been tagged for restoration, with costs estimated between one and two million dollars. Parks and Rec is working with the Oregon Watershed Board to write grants to help with funding. The first project is located between the Bill Healy bridge and Farewell Bend footbridge. 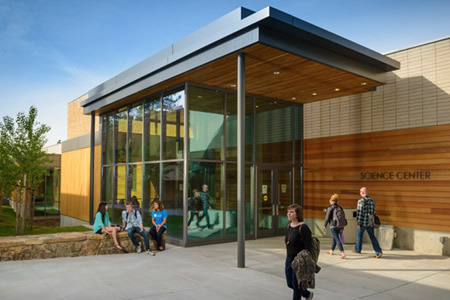 BEND, OR -- Central Oregon Community College is looking into the future. COCC Vice President for Administration Matt McCoy tells KBND News the final draft of a Facilities Master Plan is nearly complete. 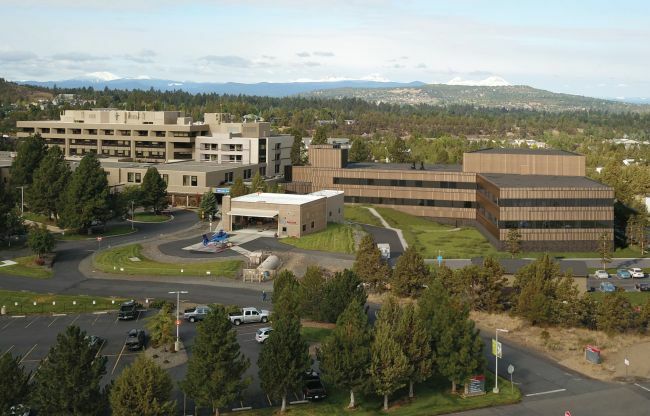 "It takes into consideration the needs throughout the district, so that includes the Bend campus, the Redmond campus, the Madras and Prineville facilities. And, it even gives thought to where we might consider expansion beyond those four locations. We’ve always got to be considering ‘where is the growth going to take place in Central Oregon?’ Whether it’s Sisters, La Pine or other areas; trying to design what the facilities needs would be within those parts of our community." In Bend, McCoy says, one idea would convert College Way into a pedestrian plaza, "Now, we recognize the City of Bend owns College Way. But, the idea here is that if the city were willing and the timing is right and we can afford it, we might acquire College Way and then be able to use it for things like perhaps farmers markets or food festivals or music events and limit vehicle traffic, insuring emergency vehicles and the campus shuttle can continue to and through College Way. But, limiting it to pedestrians during normal educational hours." They're also looking at potential changes and expansion of Mazama Gym and the outdoor athletic field, "We have quite a bit of demand for our health and human performance classes and not the tools to deliver those classes at the highest level we would like to." He acknowledges the school will look different in the future, "Traditionally community colleges are commuter campuses. But, as we look forward and keep sustainability at the forefront of our thinking, one of our objectives is to bring students and the community to the campus and not have them in their cars driving around to and from." McCoy expects the 10-year facilities plan will be presented to the board in the next couple of months. To hear our full conversation with COCC's Matt McCoy, click HERE. BEND, OR -- Deschutes County Commissioners met Wednesday to discuss possible revisions for time, place, and manner regulations for the marijuana industry. While no vote was taken, there was unanimous support from the board to add a limited-duration deputy Sheriff position to help with enforcement. In an attempt to make the application process more expedient, they're considering whether a hearings officer should be in charge of making final land use decisions for marijuana facilities, rather than have Commissioners hear every application. Commissioner Phil Henderson believes that shortchanges applicants, "I'm not yet convinced that a hearings officer hearing is better than us hearing it. I've read some of these hearings officer decisions, now that I've been on the board for awhile, and I see personal opinions in those as well as they're not as legal an analysis. I mean, I feel like people, they have a right to still be heard by us." They also discussed a temporary stop to accepting applications, to allow Commissioners time to make sure changes they want to make are legal. Commissioner Tammy Baney wonders if a pause is a good idea, as it wastes vetting time that might be needed to investigate an application in the 150 day timeframe that is set by the state. "For those who don't want us taking applications, we are still allowing applications to come in, but unless we truly do an 'opt-out,' we wouldn't be able to not take an application. if we do take an application, and we don't process it by that timeline, at the end of the 150 days, it's a 'yes,' regardless." Commissioner Tony DeBone says all of the potential revisions may need more community input, "Let's Do it! but, what would we do? What would we send out? That would be the trick there, because months ago, I thought, 'we need to have clarity from the voters on this'." He went on to wonder, "What's the question we would see on the ballot?" Commissioners plan to hold another meeting early next week to discuss fee structure, the possible pause in application processing, and whether to put a hearings officer in charge of final land use decisions. Commissioner Henderson noted, "One of the biggest things I've noticed this whole debate, is everybody is happy with marijuana that's at somebody else's house. It's interesting." BEND, OR -- Bend-La Pine Schools officials are asking for community feedback on a proposal to shift school start times. Elementary schools would start an hour earlier, and older kids would start an hour later than they do now because experts believe teens need more sleep. 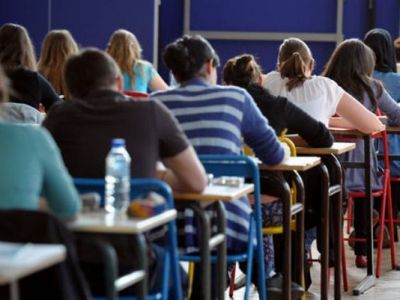 Assistant Superintendent Lora Nordquist says it appears teens need more sleep, "We’re seeing studies that show its rate, obviously on attendance and tardiness; but, social emotional well-being, depression and all those things of course are linked to academic performance." She tells KBND News, "In my generation, our thought was, ‘hey, they can just get up earlier and go to bed earlier.’ Well, it’s not as easy as that. As we learn more about brain development, there’s something in the adolescent brain that’s almost wired for being more that night owl." Currently, elementary schools start at 9 a.m. and secondary schools start at 7:45, "The time switch that we’re looking at is starting elementaries at 8 and they would get out at 2:30. And, starting middle and high at 8:45, and they would either get out at 3:40 or 3:45," says Nordquist. The school district is asking for community feedback through an online survey through the end of May because, Nordquist says, there are a lot of issues to consider, on top of sleep patterns, "Changing our start times effects lots of people, maybe with traffic patterns and things like that. So, we really want as broad an outreach as we can get." She says they're also looking at athletics schedules, since a later start for the high school would push outdoor practices and competitions past dark, especially in the fall. Nordquist expects a final decision by early fall, and any changes wouldn’t take effect until the fall of 2019. "Because we have lots of community partners that we would need to work with if we were switching; day cares, families know well in advance, in terms of changes in their schedules." SISTERS, OR -- A Sisters community initiative is launching the next phase of activities designed to gauge public sentiment about the area. Sisters Country Horizons will hold a series of community meetings starting Thursday. "We want to know their opinions on what they would like to see for their community, how they would like it to grow and hopefully prosper into the future," says Sisters Community Development Director Patrick Davenport. Sisters Country Horizons launched an online survey in March; it continues through the end of this month. Interviews with city leaders were conducted in February and March, as well. Feedback from upcoming meetings will be compiled with the results of those other activities to develop a vision for future growth. "A lot of people – new folks – have moved to town, and our community is transitioning very rapidly. And, of course, our regional circumstances are evolving as well, and people’s opinions are evolving," Davenport tells KBND News, "So, this is really just the beginning of a multi-year process to start implementing what the community desires for their future." The first of about a dozen community meetings starts at 6:30 p.m. Thursday at the Sisters Camp Sherman Fire District. Others are planned at other locations in Sisters, Plainview and Tollgate, over the next month. Click HERE to learn more about the initiative and to access a complete schedule of public meetings. MADRAS, OR -- Madras City Councilors will hear what residents think about the city and the job they’re doing, Tuesday night. Sara Puddy, with the city, says citizen input surveys were sent to over 4,000 addresses in the Madras zip code, in February. "We ended up with just shy of a thousand survey responses. It’s only a quarter return, but in the grand scheme of survey responses, it’s actually a pretty healthy response; especially for a first try. It not only far exceeded our elected officials’ expectations; it hit my expectation right on the head." She tells KBND News, "We hit about 20% of our area population; I’m happy with those results. That to me says - when we’re considering the survey results, we can say, ‘we have enough data here to say that this is actual representative of a certain number of our population'." Puddy spearheaded the effort and says questions were focused on residents' perceptions, "Without assuming that the community knows why we do what we do, we started with the mindset of, ‘let’s try and get an idea of what the community’s perception is.’ Let’s start from square one and say, ‘why do people live in Madras? What is it that brings people to Madras? Why are people recreating here? Why are people in our school district? Why do people get healthcare services here?’." She says the results will help guide future city decisions on priorities, spending and outreach. The synopsis of the results is back about a month earlier than expected. Puddy says, "We intentionally put this together and got it done ahead of schedule, in the event there was any low-hanging fruit of the survey results that we could quickly incorporate into our annual strategic plan, which gets adopted at the next April meeting, on the 24." She would not reveal any of the results, but says there are several opportunities for "low hanging" fruit to impact the strategic plan discussion. The survey presentation will be available on the city’s website after Tuesday's Council meeting. 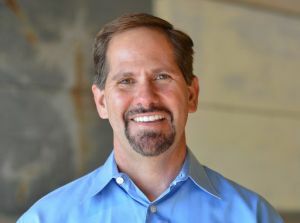 BEND, OR -- two-term State Representative Knute Buehler (R-Bend) has opted out of several recent candidate forums and debates, during his run for Governor, earning him a new nickname. The Democratic Party of Oregon is using the hashtag "No-Show Knute" to refer to Buehler, saying he's largely abandoned his District 54 constituents in favor of his gubernatorial ambitions. The Bend Republican begs to differ, pointing to the last session where he supported funding for OSU Cascades and fought higher taxes, "Governor Brown's proposal for a new complex energy tax scheme and what it would mean for everyday, hardworking constituents in my district is they would've paid $1,000 more a year in their energy costs, and due to the leadership I showed in the legislature, that was defeated, and they're running scared, and they should be. We're going to have a new Governor after November of 2018." He adds, "Governor Brown and her powerful special interests want to do everything possible to defeat Knute Buehler, the most likely person to be our next Governor. They're running scared, so they're trying to put that out there as much as possible instead of talking about the big problems that Governor Brown has not solved over the last three years and, actually, big problems that have been avoided and made worse by her administration." He tells KBND News he's the opposite of #NoShow, "I talk to people all over the state, I give speeches, I meet with individuals, I meet with groups, I attend events; by the end of the month, we've been to 50 Republican events across the state. So, we talk to all kinds of people everywhere." Buehler regrets the failure of a bill he says would've protected foster children. He says he's focused on learning how best to remedy the situation if elected Governor, along with PERS reform and lowering taxes. He won't attend tonight's Redmond Patriots town hall meeting with other gubernatorial candidates, opting instead to meet with Central Oregon foster families. He's endorsed Republican Cheri Helt as his replacement for District 54. 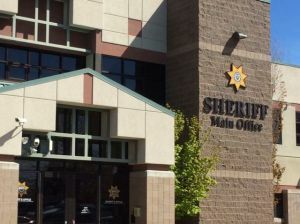 MADRAS, OR -- Three Jefferson County Corrections deputies are charged with Criminally Negligent Homicide, stemming from the 2017 death of a 59-year-old Portland man at the Jefferson County Jail. James Wippel died while in custody, last April, following his arrest on multiple drug charges. It was the first inmate death at the Madras facility. District Attorney Steve Leriche says he immediately launched an investigation. 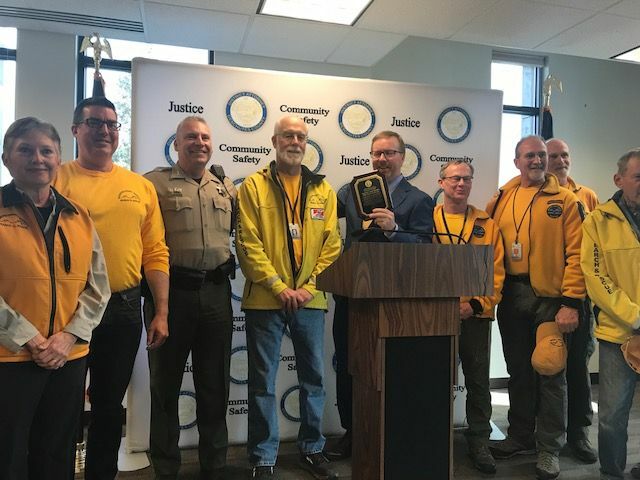 "I went to the jail to observe the scene, the Sheriff – understanding the serious nature of when someone dies in custody – contacted the Central Oregon Major Incident Team, so it would be independently investigated." That inquiry was led by Redmond Police and the Deschutes County Sheriff's Office. In July, Leriche asked the Clackamas County D.A. to take over the case, "I determined that, given the close nature of our community, knowing many of the Corrections Deputies, that the appropriate response was to seek a(n) outside prosecution." 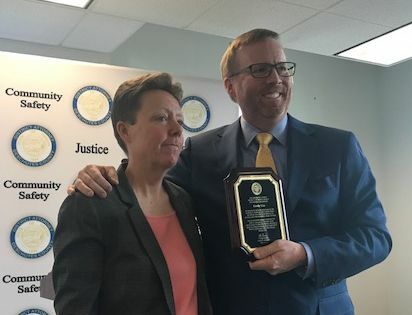 He tells KBND News, "Their District Attorney, John Foote, is very experienced and respected – probably one of the most respected District Attorneys in Oregon. And, their office was large enough that they were willing to put forth the manpower. I mean, it takes a lot of time and effort and energy to prosecute a case." The Clackamas County D.A. presented the case against Deputies Michael Durkan and Cory Skidgel, and Corporal Anthony Hansen to a Grand Jury, this week, "So, they heard testimony and took in evidence over two days, and then made the decisions to indict those three individuals," says Leriche. They're scheduled to be arraigned April 19. Leriche refused to comment on Wippel's cause of death or what was found during the investigation. UPDATE: Jefferson County Sheriff Jim Adkins released a statement Thursday evening, saying Wippel "died after he had been released from the jail and was being prepped for transport to the hospital by ambulance personnel on April 26, 2017." He says the three deputies charged in the case are now on paid administrative leave pending an internal investigation and/or prosecution. Adkins said in the statement, "The death of Mr. Wippel is tragic and I'm bothered that it happened at my facility with so many professionals involved and I am heart-broken over these indictments because these deputies are good and faithful deputies, who care very much about their jobs and the people they are charged with overseeing. I have faith in our system and in the citizens who reviewed this case." He says Corporal Hansen was hired as a Corrections deputy in February 2015, Dep. Skidgel was hired in Corrections in February 2017, and Dep. Durkan was originally hired in April 2015 as a Patrol deputy, moving to Corrections in May 2016. 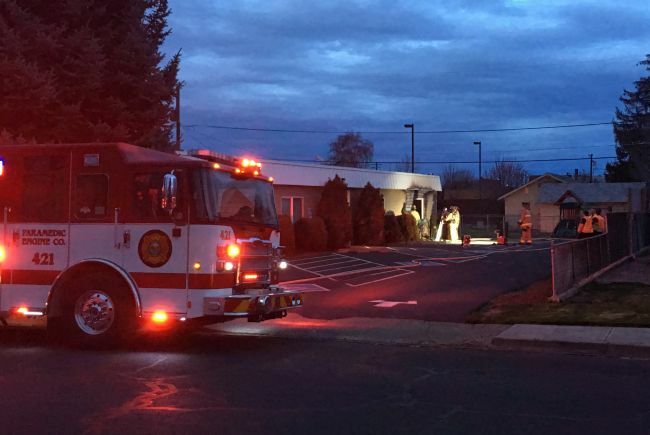 REDMOND, OR -- Investigators are looking in to the cause of a Wednesday evening fire at Redmond Christian Church that left about $3,000 in damage. Firefighters arrived at the church on Southwest 10th just after 7:30 p.m. and found a small blaze burning an outside wall, along with some juniper bushes. A bystander was trying to put it out with a garden hose. 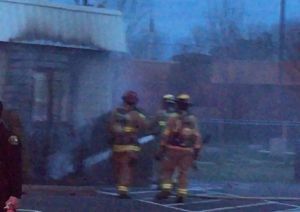 Fire crews were able to knock it down before the fire spread to the interior of the building. No one was in the church at the time, and there wre no injuries reported. SISTERS, OR -- President Trump wants to send National Guard troops to the southern U.S. border, to crack down on illegal immigration. U.S. Senator Jeff Merkley (D-OR) acknowledges securing the border is important, and has broad support. But, during a stop in Sisters on Wednesday, Merkley said he's opposed to the move, "We have increased our border security enormously over the past 10 years. Before, when we've had the conversations about the National Guard and so forth, they have said that that is not something they are trained for; it's not a mission that's appropriate for them. So, I think it's probably not the best idea." Governor Kate Brown says that if she's asked to send Oregon troops to the border, as Commander of the National Guard, she'll refuse. 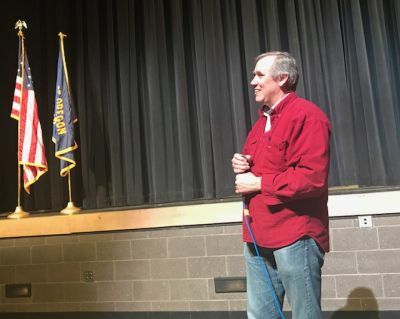 Merkley held two town halls in Central Oregon Wednesday; a midday event in Sisters and an evening meeting in Warm Springs. 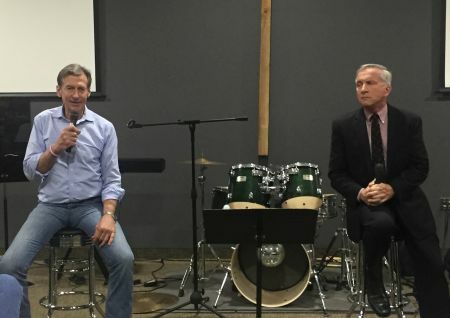 In Deschutes County, he fielded questions on gun control, "Dreamers," education and the growing divide between Democrats and the GOP. Several people asked about the current political climate. Merkley acknowledged partisanship appears to be getting worse and he compared Congress to a dysfunctional marriage where no one is working together. Susan, from Bend, asked about the spending of tax dollars by several members of the Trump administration, on reportedly frivolous items and travel. While Senator Merkley feigned surprise that there would be problems, given the President's promise to "drain the swamp," he said inappropriate spending has been happening in Washington for decades, and he recounted hearing Senator Kennedy speak on the issue in the 1970s, "So, it's one we have to continue to wrestle with. But, I would think that, maybe instead of having a cabinet meeting where all the cabinet secretaries say, 'supreme leader, how wonderful you are;' you have a cabinet meeting where the president says, 'cut it out and start operating like a normal working American'." He says it's important to continue to draw attention to the issue by reporting improprieties to the Inspector General for investigation. Merkley was in New Hampshire last month, fueling speculation he's exploring a run for the White House in 2020. He told reporters in Sisters he's keeping his options open, "Mainly, I'm focused on 2018. I'm not up for office this year; I can help my colleagues. I'd like to see the balance of power shift in the Senate, so the issues that effect ordinary working families - of housing, of healthcare, of the cost of education, and living wage jobs - can get fully addressed by the Senate, because they're not being addressed, now." 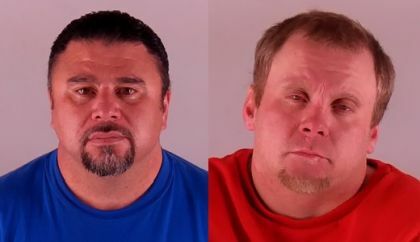 REDMOND, OR -- Three men face numerous charges in connection with a Deschutes County burglary that occurred last week. The Sheriff’s Office says the investigation began after a break-in at a business south of Redmond, March 26. A safe was taken with a gun, cash and business documents inside. Over the past week, detectives executed four search warrants at locations in Madras, Crooked River Ranch and Terrebonne. They recovered the safe and various documents, as well as over $100,000 in cash. On Friday, 44-year-old Ricardo Guerrero (left), of Terrebonne, was arrested on multiple charges, including Theft and drug possession; 31-year-old Wesley Westcott (right), also of Terrebonne, was arrested for Theft, Unauthorized Use of a Vehicle and a Probation Violation, among other charges. 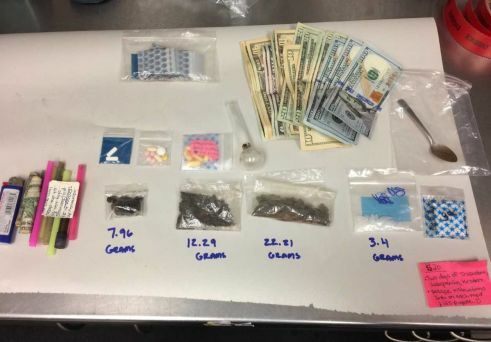 And, 34-year-old Thomas Zimmerman, of Madras, was arrested for violating his probation and Meth possession and delivery; more charges are expected. The investigation is ongoing and they're still searching for the handgun. 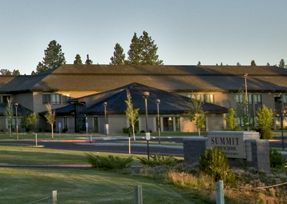 REDMOND, OR -- More than 43,000 households and 320,000 people were served by NeighborImpact, last year; the nonprofit saw a 1% in clientele who received more than one of their eight services, or received a service more than once in a six month period. Rachel Suchan, with the Redmond-based agency, says unemployment is down and the recession is largely past, but economic hardship continues to be a reality for many. "Obviously, not everybody in the community is experiencing poverty. A lot of our community members are noticing the improvement in the economy, but I think that that improvement is definitely not experienced by all." She tells KBND News, many of those who need help have jobs but have suffered an accident, illness, or other unexpected expense, "I think that the stress that the extreme weather's put on the community last year is still resonating, and a lot of people are still trying to recover from the financial burden that things like roofing damage have put on their families." She also says the numbers could be higher because more help is available, "I think some of that is the addition of new partners in the community, and programs, so as we expand the types of services we offer, and the number of partners that we have in the community to help make it happen, we have the ability to reach more people." NeighborImpact provides emergency food assistance and child care resources, as well as lending and home ownership counseling and services, assistance with transitional housing, and help with home heating bills and weatherization. BEND, OR -- As prices increase for sorting recycled material, those costs could be passed to garbage customers. Some Oregonians are already seeing price hikes on their garbage bills, most recently in Washington County. 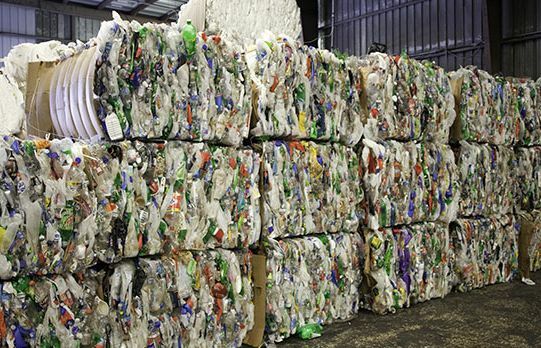 At the beginning of the year, China stopped accepting recyclable material from the U.S. due to contamination, forcing American companies to find other, more expensive places to send it. Bend Garbage and Recycling President Brad Bailey understands China's reason, "They're trying to clean up some of their polluting facilities and so there's motivation on their side to try and do it better in China, which is affecting this. [It] really has nothing to do with what we've been exporting to them, It's just, they're trying to do things different[ly] and even recover more of their materials locally." Bailey says he's working with county officials to determine what's best. But, he tells KBND News he wants to hold off on raising rates as long as possible. But, customers can help by following the recycle guide, "The biggest thing that we can do locally is make sure that we recycle right, and if in doubt, we leave it out of the cart. 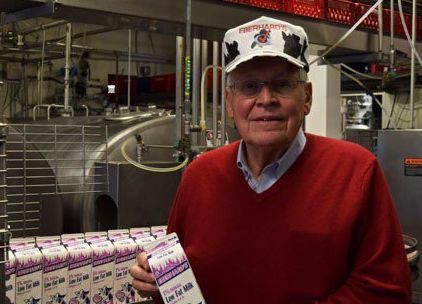 That will make the product much more marketable once it's processed, and higher value, long term; so it's important that you do it right." Central Oregon's recyclable material is not sorted locally. Bailey says it's baled and sent to Portland for sorting at major recycling facilities. It now costs more for those facilities to carefully scrutinize materials to pull out contaminants and materials banned in other countries. It's then shipped to foreign markets. Deschutes County sends out about 1,100 tons of baled recyclables each month. SISTERS, OR -- U.S. 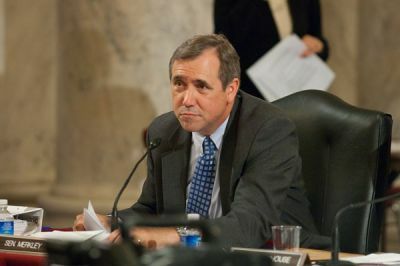 Senator Jeff Merkley will meet with Central Oregon constituents on Wednesday. He’ll hold a town hall at Sisters High School at 11 a.m. The Oregon Democrat will then head to Warm Springs for a town hall at the Warm Springs K-8 Academy at 5 p.m. 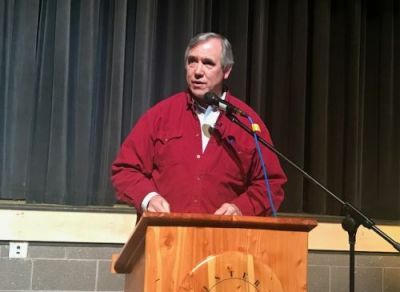 The events are open to the public and mark Merkley’s 342nd and 343rd town halls since taking office in 2009. 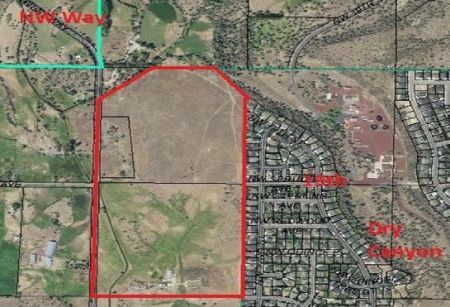 BEND, OR -- Bend City Councilors will take public comment Wednesday, on how the city should proceed with implementing its new Urban Growth Boundary. The UGB was expanded by 2,300 acres about a year and a half ago. City Councilors asked for public input before giving direction for the growth strategy. City Manager Eric King says a formal area plan will determine the strategy for development, including how to bring in needed infrastructure, like roads. "Because those roads are fairly expensive, how do we come up with an agreement for the landowners that are in that expansion area to all chip in, and what can the city contribute with its resources to get some of that infrastructure in play. But, that’s going to take a little more time." He tells KBND News, "That area plan will probably take upwards of a year or so to get into the details of the financing plan, get agreement amongst the property owners – you know, everybody has an interest of how they can get the best return on their property. And, those properties have been earmarked for a specific use. Some are industrial, some are residential, some are multi-family, and we need to make sure those infrastructure costs are shared equitably." Written comment will also be accepted until 5 p.m. April 13. Also at Wednesday's meeting, Councilors are expected to approve an ordinance increasing the monthly pay for future councilors, if voters agree in May to remove the rate from the city’s charter. "It’s conditioned upon voters saying ‘yes.’ But, the ordinance would set that compensation," says King. "We have an independent committee that made a recommendation, which is setting the compensation based on a percentage of area median income. What that amounts to is about $500 a month for Councilors, so they’d go from 200 to $500 per month. And, for the Mayor, it’d go from $200, currently, to a little over $1,000 per month." King says Councilors can’t approve their own pay rate, so it would only impact each position after it goes through an election. Bend's City Council meeting begins at 7 p.m.
BEND, OR -- It’s not yet wildfire season, but smoke has already been seen across the region. Kassidy Kern, with the Deschutes National Forest, says prescribed burns in the spring are designed to reduce the risk of a large wildfire in the summer. Despite what Smokey Bear used to teach in schools, Kern tells KBND News fire isn't always bad, "That was the best science available at the time, and we now know that that’s just incorrect. This ecosystem in particular, the High Desert ecosystem, has evolved over the eons with this high frequency, low intensity wildfire. We need to be going in there, we need to be thinning, we need to be mowing and we need to do this great restoration work with prescribed burning." She adds that it serves to "put some nutrients back in the soil, protect our communities, especially with the wildland/urban interface, and then also improve the habitat for wildlife." Kern recognizes the smoke can be a nuisance, but she says the goal is to prevent the thick haze that comes with a large wildfire. Operations are carefully planned, "In short bursts, where we have that control of the weather conditions, where we’re working with smoke management to ensure we’re getting the wind we need to push it out of our communities. Crews worked a 150-acre burn near China Hat Road, Tuesday, and Kern says another high-profile project will take place in the next couple of weeks, weather permitting, "We’re going to be actually burning on High Desert Museum property, and adjacent to that, to give them a little bit of a buffer. These are exactly the kinds of burns we want to keep doing. 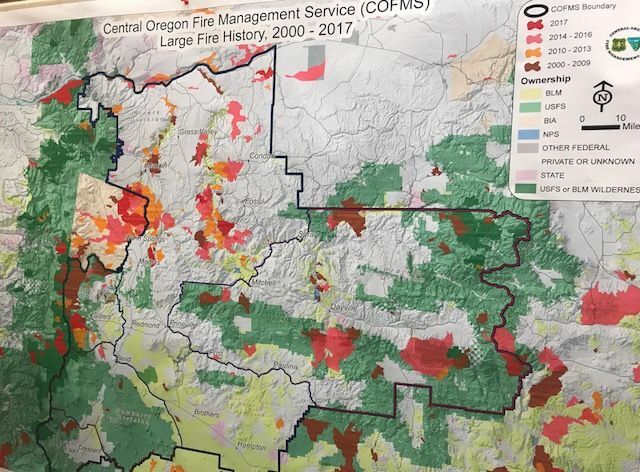 It will help restore the ecosystem, which is obviously important to us, but it also will help protect a very well-loved Central Oregon resource if a wildfire does come." Click HERE to listen to our full conversation with Kassidy Kern, or visit our Podcast Page. The Forest Service provides an online interactive map to track current and potential prescribed burns. 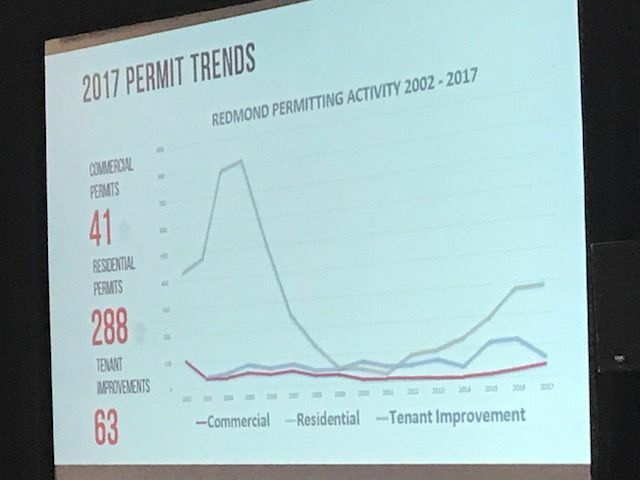 BEND, OR -- With low commercial vacancy rates and a shrinking inventory of buildable land in Central Oregon, experts say it’s a seller’s market. And Pat Kesgard, with Compass Commercial Real Estate, says timing is everything, "A number of investors bought properties in 2009, 2010, 2011, because it was a steal. And so now – a perfect example: I sold a building [in Bend] late last year, he paid $800,000 for it; he sold it for $1.8 million." 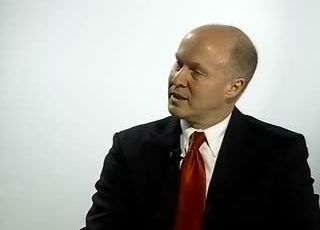 According to Kesgard, the current economic cycle is very similar to what the region saw in 2006, "When you look at where we are today: increasing interest rates, people have survived the downturn – those that did, they’re starting to sit there and go, ‘OK, when are we going to hit the peak of the bell-curve and start to go down? What are my options? What can I consider doing?’." Despite the similarities with a decade ago, Kesgard doesn’t believe we’re headed for another real estate bubble, "You have to qualify for loans now, banks can’t just arbitrarily take a high concentration of raw real estate land to be developed; so there are so many things in place, if there’s a bubble, it’s going to come from someplace else. It’s not going to come from housing; it’s not going to come from the lenders being over-leveraged in a certain category." But, he tells KBND News the low vacancy rates will continue to put upward pressure on prices. To listen to our full conversation with Pat Kesgard, visit our Podcast Page or click HERE. BEND, OR -- Unattended candles are blamed for starting two fires in two days. 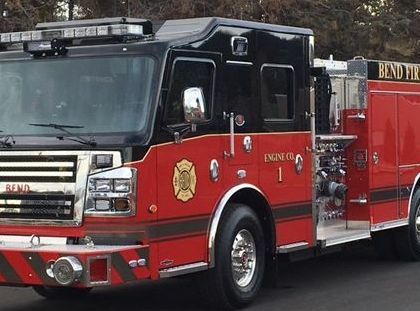 Last Thursday, a small apartment fire in Bend resulted in about $1,000 in damage; and the following evening, a Redmond house fire left $20,000 in damage. 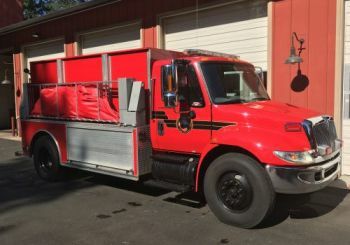 Bend Fire Battalion Chief Dave Howe tells KBND News, "If you have an unattended candle or flame source, and a little breeze blows in and blows the drapes anywhere near the candle - if they're flammable drapes, which they usually are - it can go up instantly. And you're off to the races in a very, very short time." Working smoke detectors are important. But Howe says flameless candles can prevent a blaze from even starting. And, the department offers LED candles for rent, along with the peace of mind they provide, "Using flameless candles gives the exact same effect, without the hazard." He says, "We rent them a lot to weddings, and May/June/July is wedding season. People are going to be having a lot of graduation parties, end-of-school celebrations, all kinds of things like that, where candles are nice; they're nice to have, but a disastrous fire will ruin the entire evening." Howe says event season can be especially dangerous because people who are celebrating don't always pay attention to candles, especially if there's alcohol involved. 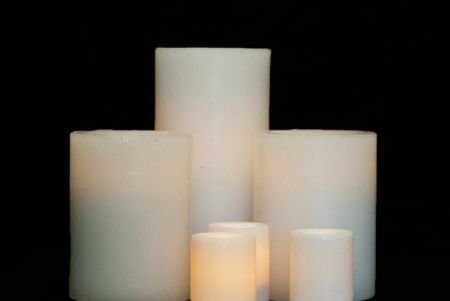 Click HERE to learn more about Bend's flameless candle rental program. MADRAS, OR -- Congressman Greg Walden meets with health and law enforcement officials in Madras, Tuesday, to discuss the local opioid epidemic and how it impacts Jefferson County. Walden Chairs the House Energy and Commerce Committee, which he says has made the opioid crisis a top priority. He's hopeful recent efforts by the Committee will address issues that are contributing to the crisis, like pill dumping and patient brokering, "To reform the public process, we’re trying to get to best practices for prescribing, more continuing education the right way, alternative pain treatment and then hold accountable those that are the bad actors." Walden tells KBND News grant money is now available, specifically for rural areas, where opioid abuse is often higher, "Oregon’s already gotten $6.5 million last year, will probably get another $6.5 million this year. And then, in the appropriations bill we just approved, we allocated another $4.3 billion for opioids and mental health services in 13 different programs to help in all kinds of community needs on mental health. So, part of what I like to do is then come back and say, ‘did you get the money? Does it go to where you need it? Are we making progress?’." The money is used for things like Narcan, which can be dispensed by first responders to reverse the effects of an overdose. "Tragically, I’ve been told at a couple of roundtables like this, by the people that are on the front lines, ‘you know, we’re starting to actually see opioids go down, which is good, but now we’re seeing meth use go up.’ And, apparently, there’s a cycle like that." The Oregon Republican will also meet with the Warm Springs Tribal Council on Tuesday. BEND, OR -- Fire managers plan to light a prescribed burn south of Bend, Tuesday, on the northeast side of China Hat Road. If conditions are favorable, they'll burn 150 acres, starting at 11 a.m.
Because of the location of the operation, Deschutes National Forest officials say highway drivers could see smoke and potentially experience slowing of traffic; although, no road closures are planned. As always, residents in the area who are susceptible to smoke should avoid outdoor physical exertion and remain indoors. The burn is designed to reintroduce fire into the ponderosa pine ecosystem and reduce hazardous fuels. 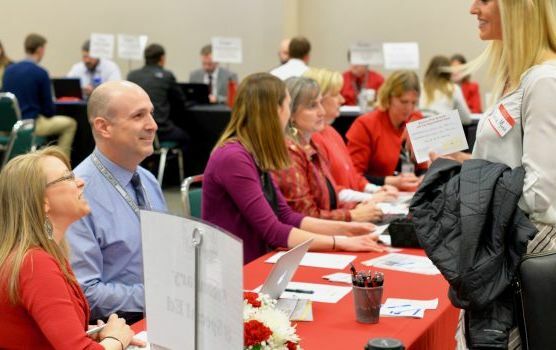 REDMOND, OR -- Bend-La Pine Schools, Redmond and neighboring districts will take part in a regional Teacher job fair, Thursday. Ridgeview High School Assistant Principal Jensine Peterson helps interview applicants for the Redmond School District. She says it’s not difficult to get educators interested in working in Central Oregon, "I’ve seen people from across the country, as well as local people. What’s even more exciting for me is that we see both veteran teachers, wanting to move into the area, and people who are just fresh out of school looking for their first teaching job, and they’ve got that glimmer in their eyes. So, we have a range of talent that comes to the job fair each year." She says districts are looking for well-rounded people who are able to navigate the changing education landscape. "When I was in school, the teacher was the purveyor of all knowledge. They were the person who knew everything, whereas now we live in an era when kids have lots of information right at their fingertips. So, teaching them how to be discerning citizens is a really important part of what we’re doing, in educating the 21st century student." Peterson tells KBND News, "A common question that we get from new teachers is, ‘what support do you have in place to make sure that I’m going to be successful?’ Teaching is not an easy profession; it’s very challenging and complex, so we’re able to highlight that we’re going to support our teachers and really invest in them so that they can be the best they can be for our kids." The Teacher and Certified Staff Job Fair takes place from 1 p.m. to 6 p.m. Thursday, at the Deschutes County Fair and Expo Center. Advanced registration is encouraged. 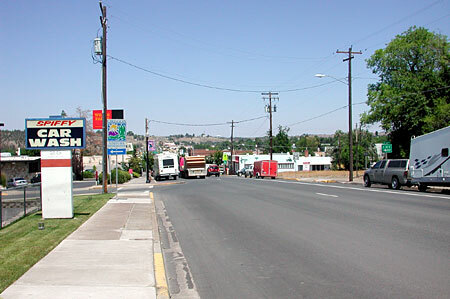 BEND, OR -- City crews begin work Monday on a major reconstruction project along 14th Street on the west side of Bend. Project Engineer Garrett Sabourin says the work will be split into two segments, "The first is from Simpson to Albany. 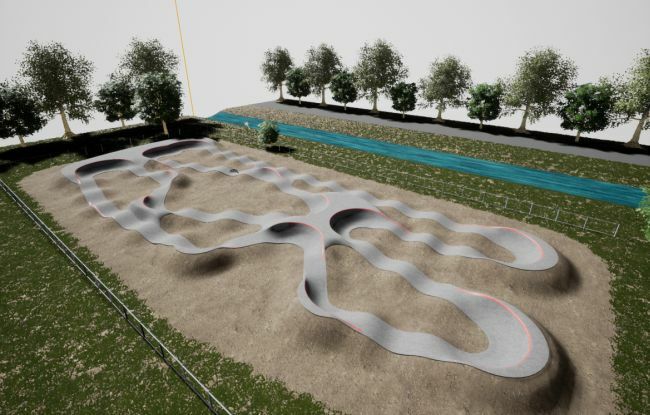 And to complete all of the construction associated with that segment’s going to be approximately a three-month duration; so extending from April until the end of June. And then the second segment is Newport to Galveston, and that’s going to be approximately a three-month duration, as well. So, we’re basically looking at construction along this corridor from the beginning of April to the end of September." For the first stretch of work, Sabourin tells KBND News, "Our contractor for the city is going to begin some road widening on the west side of the road, so we’ll still be able to maintain northbound and southbound traffic. However, beginning April 9th, we’ll be closing the Simpson Avenue roundabout for an approximately six to seven week duration." Sabourin says they’ve been in close contact with area businesses, which will be open during construction, "We’re trying to improve awareness and the ability to navigate to the businesses during construction. So, all of their accesses will be maintained, open and our contractors will communicate with them closely. 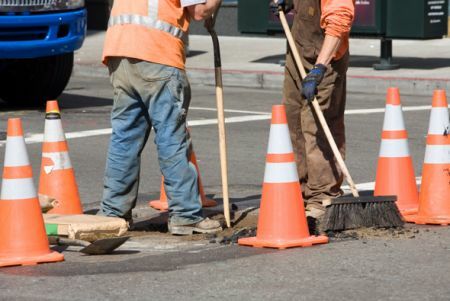 In addition to that, we’re providing work zone updates to Google and Waze, the navigation apps, to help people navigate around our construction." 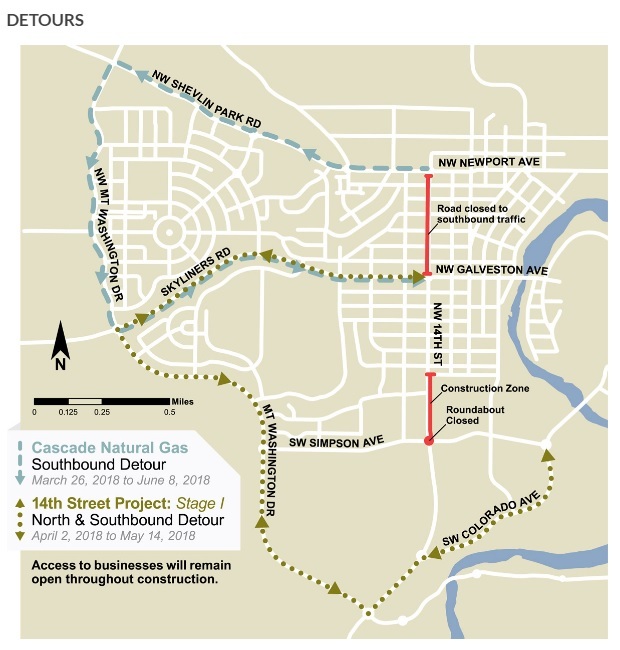 For more information on detours and timelines, visit the city's project page. BEND, OR -- A Bend family is out of their home after a Saturday afternoon duplex fire. Firefighters responded to Northeast Tucson Way and found flames coming from the end of one of the units, at about 1:15 p.m. They quickly knocked down the blaze, preventing damage to the adjoining unit, although a parked car was heavily damaged. The residents and their pets managed to escape, despite not having any working smoke alarms. The cause of the fire is under investigation. 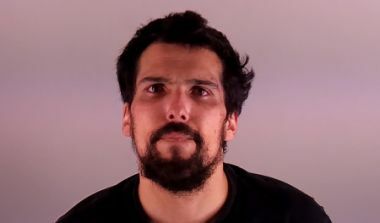 LA PINE, OR -- A 27-year-old La Pine man was arrested Sunday night after he allegedly broke into a house on Del Pino Road, waking up the homeowner. The Deschutes County Sheriff’s Office says Richard Bounds left when confronted by the victim, just after 9 p.m. Arriving deputies found him hiding in a neighboring driveway. They believe he was under the influence of an unknown substance. 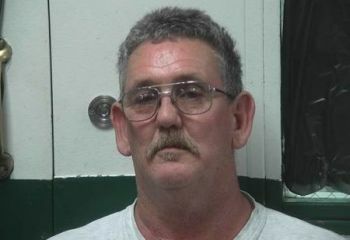 Bounds was taken to the hospital for a medical evaluation after his arrest. REDMOND, OR -- A Friday night Redmond house fire is blamed on an unattended candle. It's the second such incident in two days. Redmond Police were first to arrive at the home on Northwest Ninth, and attempted to put out the flames with a garden hose. Firefighters were then able to quickly knock it down, holding it in one room. The blaze caused about $20,000 in damage. 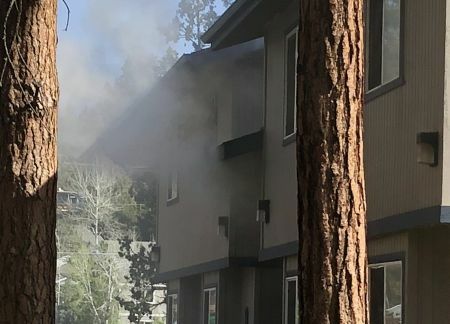 Thursday afternoon, Bend fire responded to an apartment fire also said to have been started by an unattended candle. 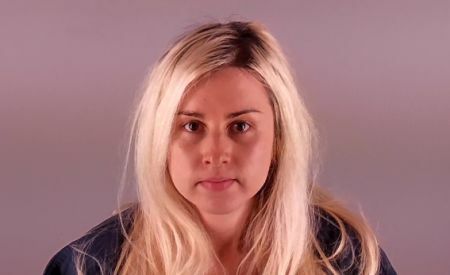 BEND, OR -- A 28-year-old Bend woman is accused of hitting her father with a car, Sunday afternoon, then attacking him with pepper spray at his home on Rocking Horse Road. According to the Sheriff’s office, the 61-year-old man went out to meet his daughter in the driveway when she drove into him, just before 4:30 p.m. Her car then hit a fence, forcing the man onto the windshield. 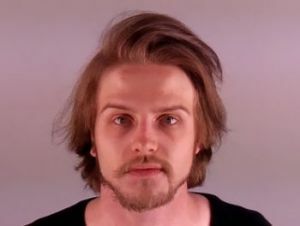 He made his way to the front porch where Emmy Gilbert approached, allegedly spraying him in the face with pepper spray. He ran into the house and investigators say she followed, spraying him in the back of the head. Gilbert then called 911 to report what she’d done. Her father was assessed by medics but not transported to the hospital. She faces numerous charges, including Assault, Reckless Driving and Unlawful Use of a Weapon. Correction: KBND News was initially provided with the incorrect suspect name. This article has been updated to reflect the correct name of Emmy Gilbert. 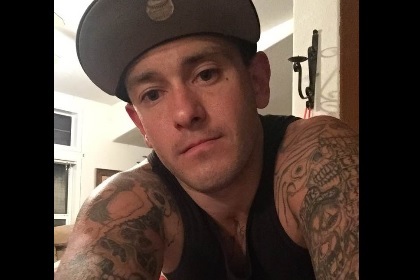 BEND, OR -- A man wanted for several outstanding warrants fled a Tumalo traffic stop Sunday afternoon and remains at large. 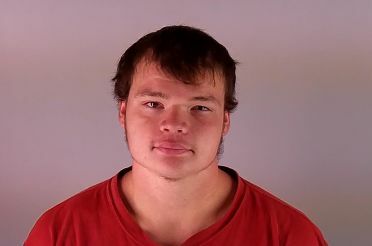 Deschutes County Deputies are now asking for the public’s help in tracking down 22-year-old Ronald Credille of Bend. A State Trooper pulled Credille over near 5th and Cook Avenue, after receiving a driving complaint. After providing his ID, the suspect ran from the stop. An emergency notification was sent to area residents by phone, asking them to secure their homes and be on the lookout for the man. And, a K-9 team found a hat and sweatshirt dropped by Credille along the river, although he's not yet been found. Credille has two outstanding warrants for his arrest from Linn County.